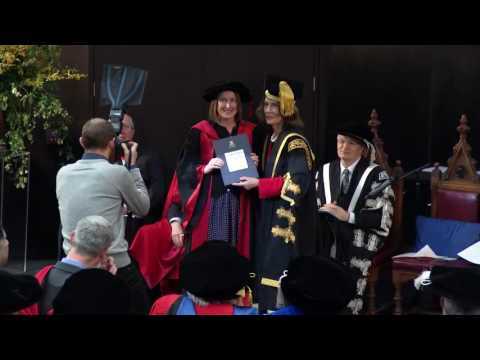 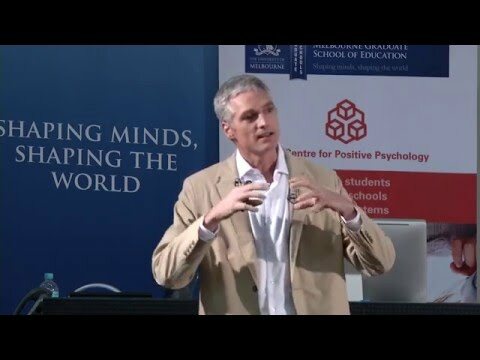 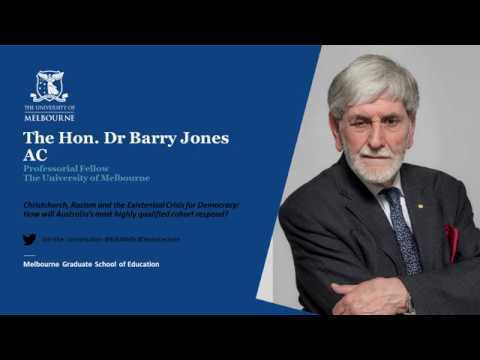 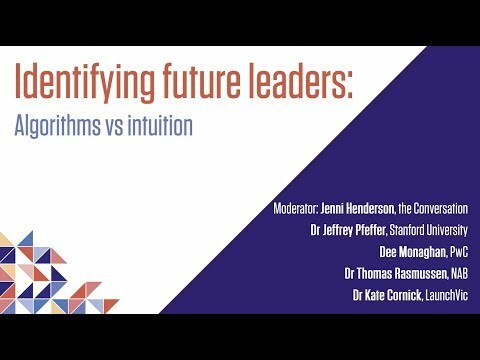 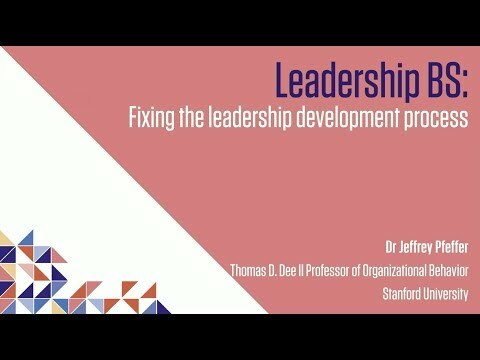 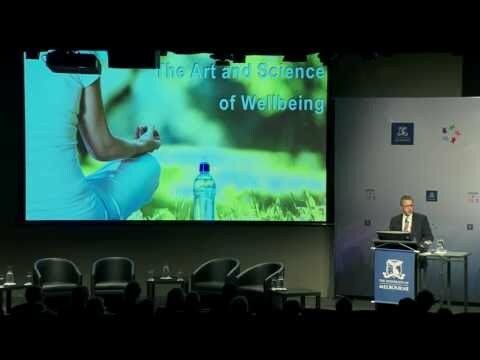 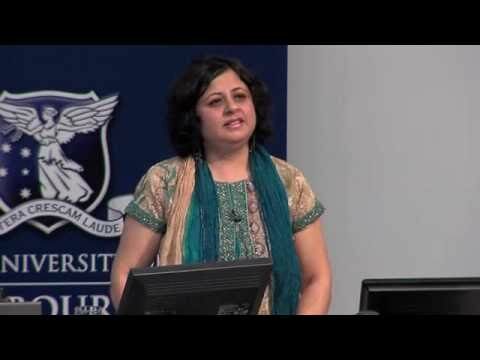 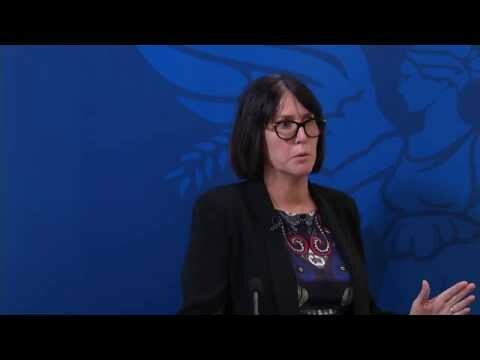 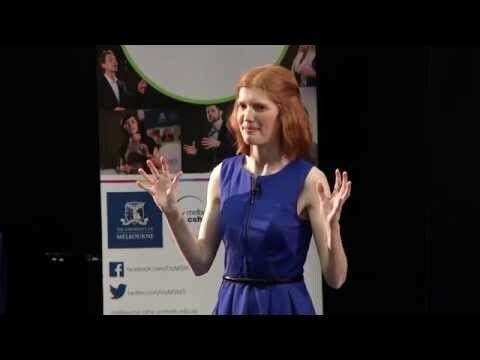 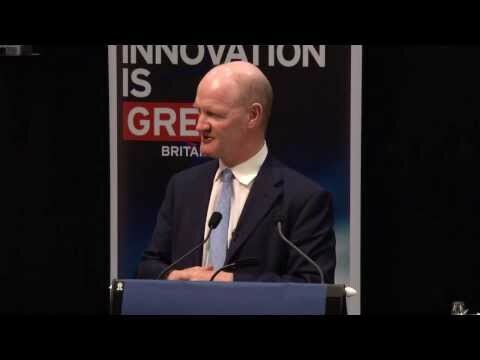 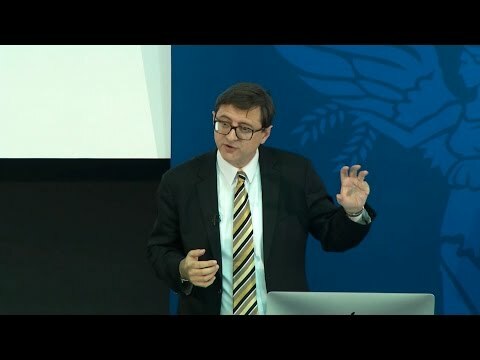 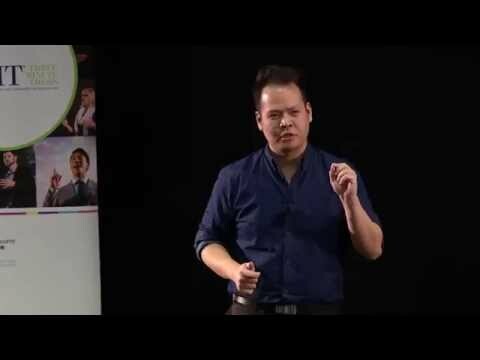 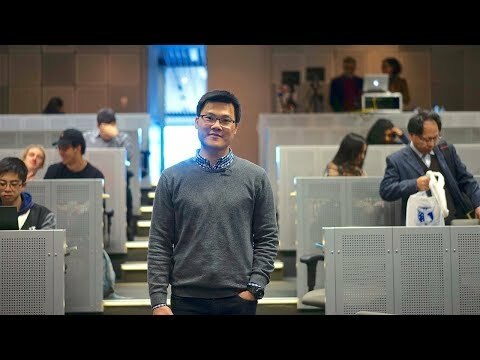 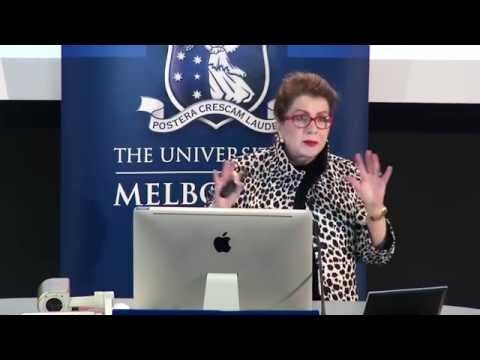 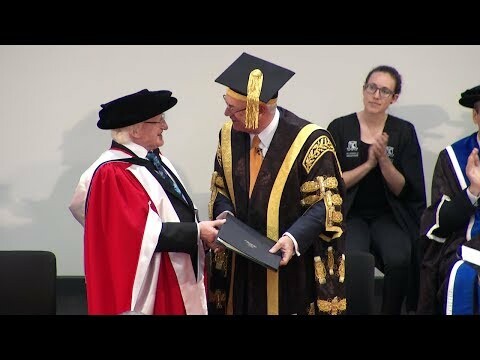 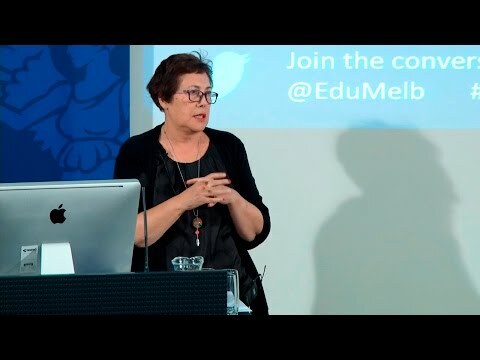 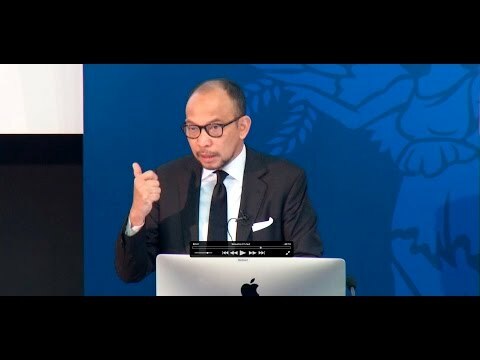 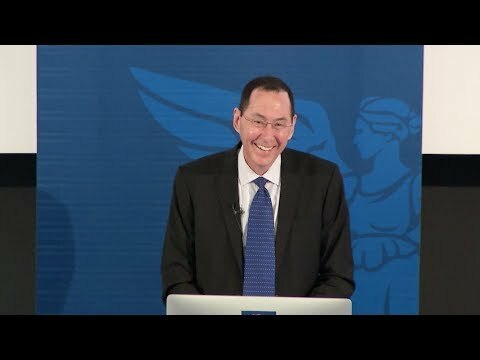 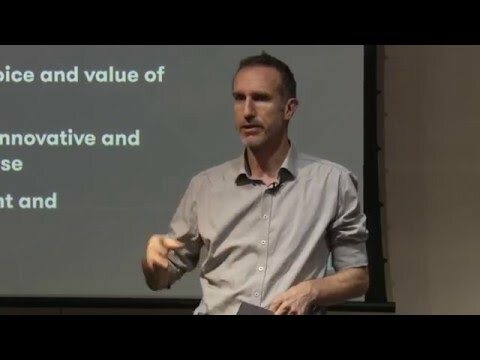 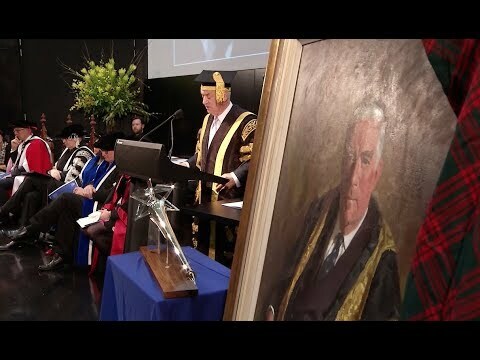 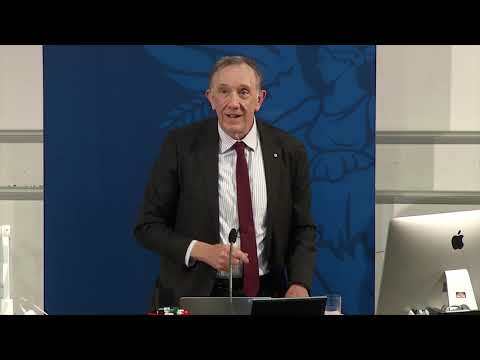 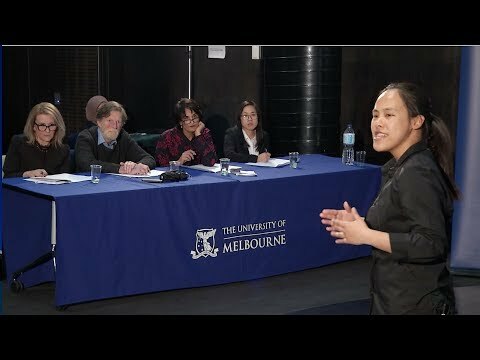 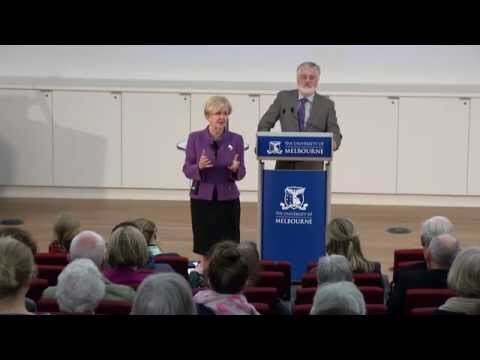 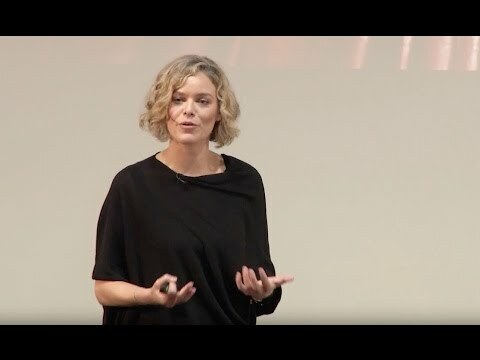 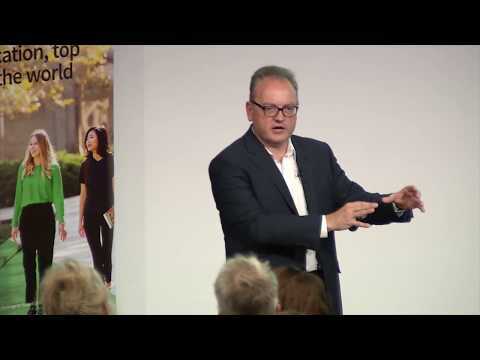 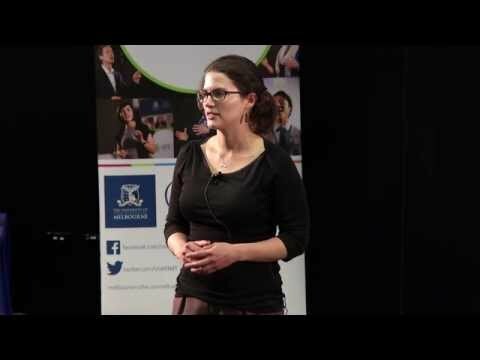 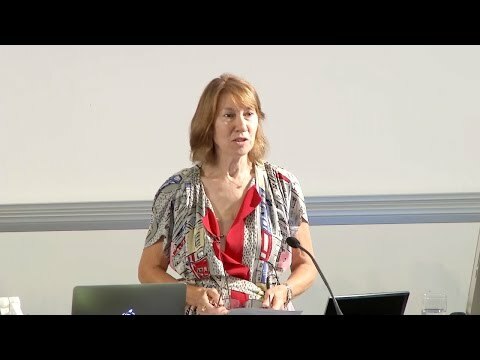 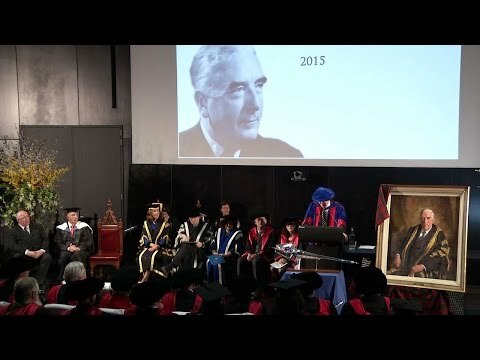 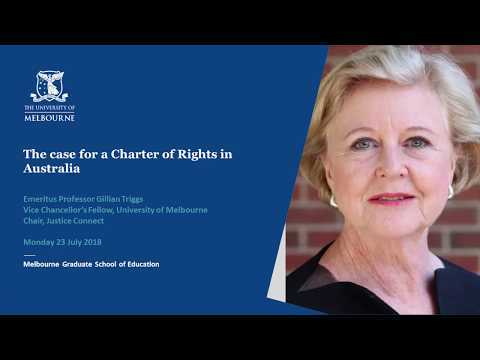 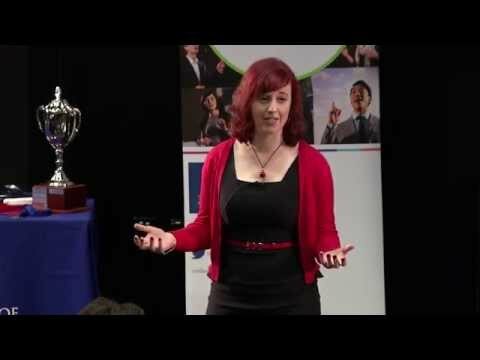 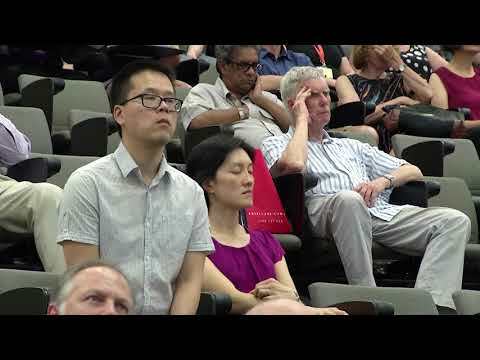 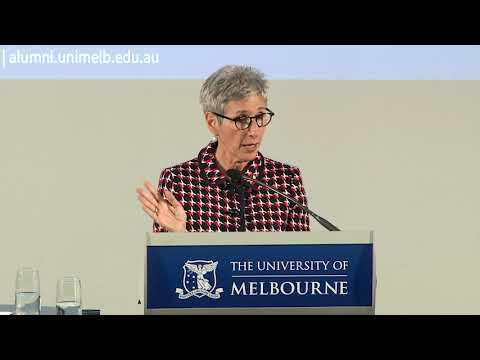 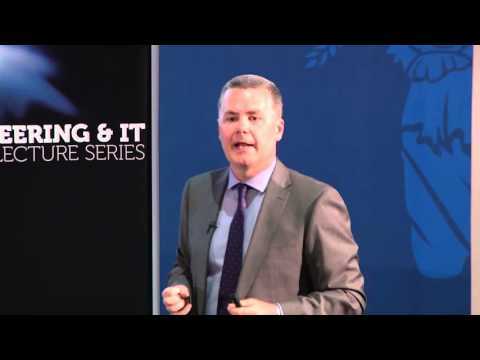 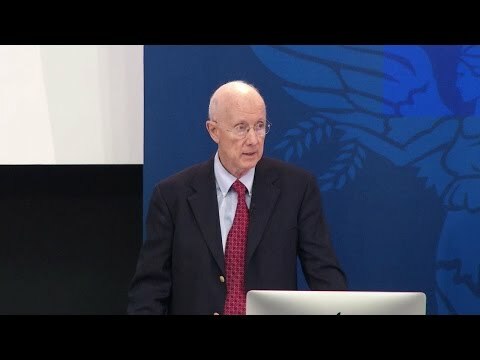 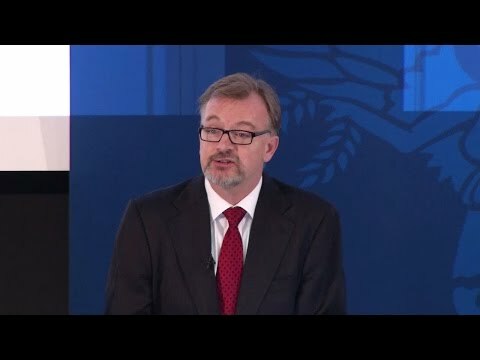 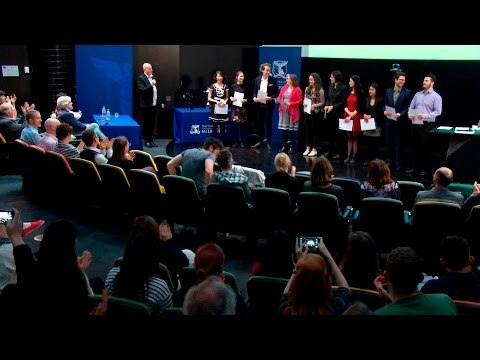 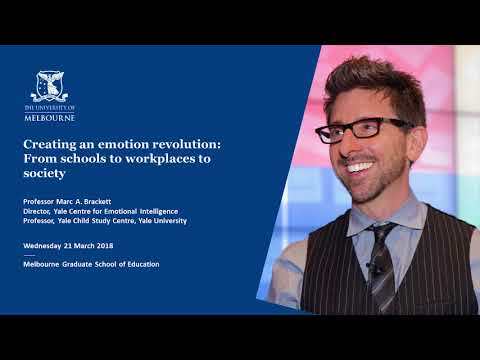 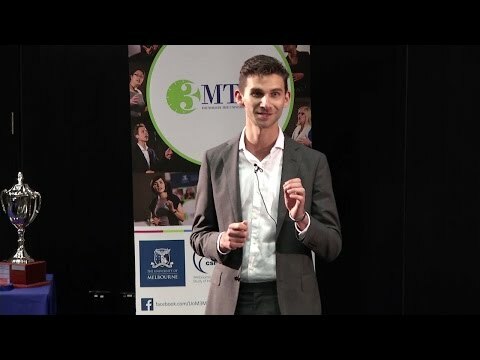 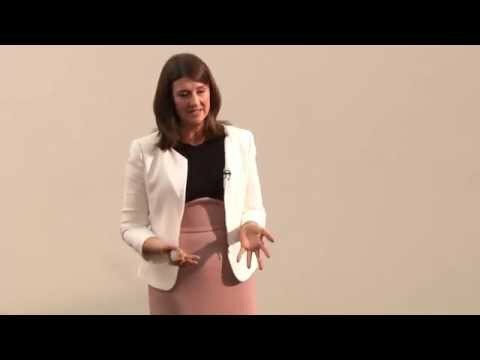 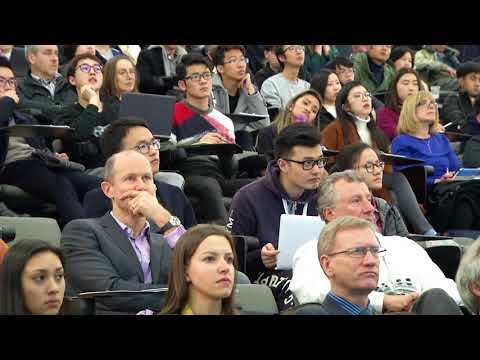 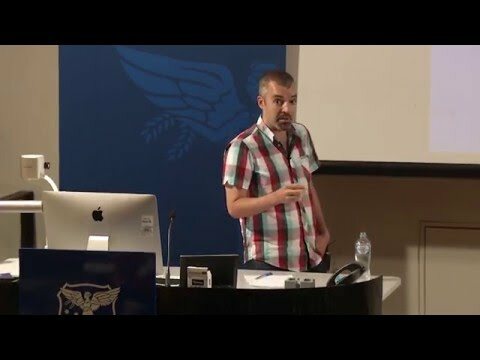 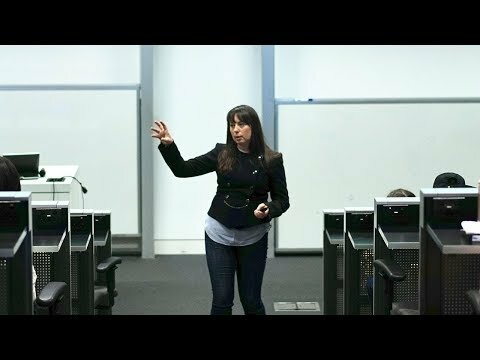 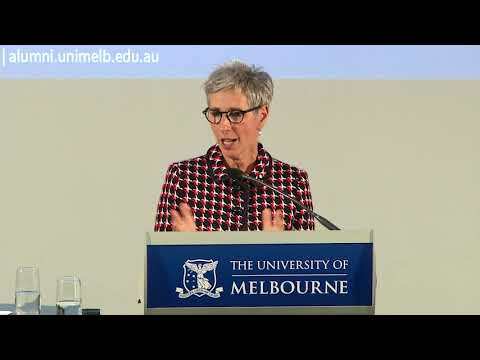 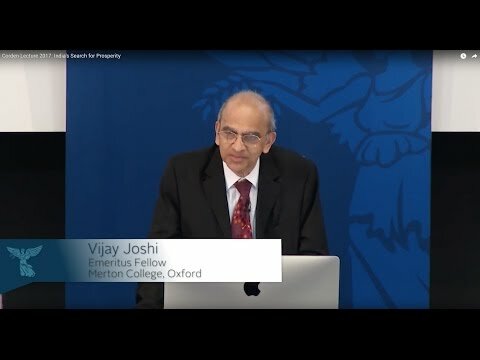 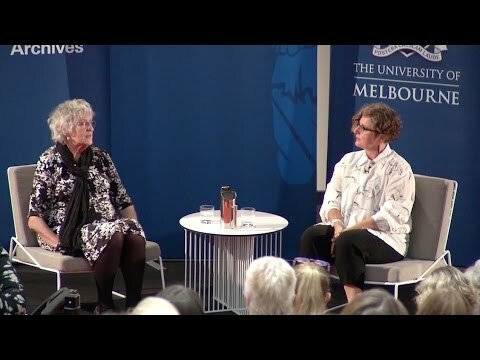 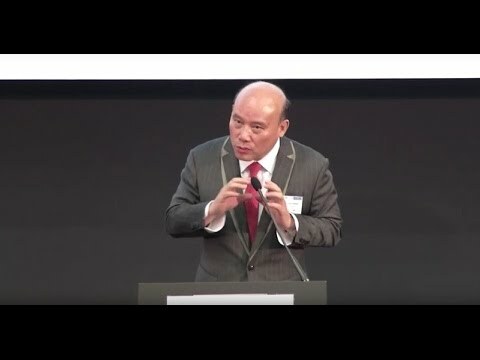 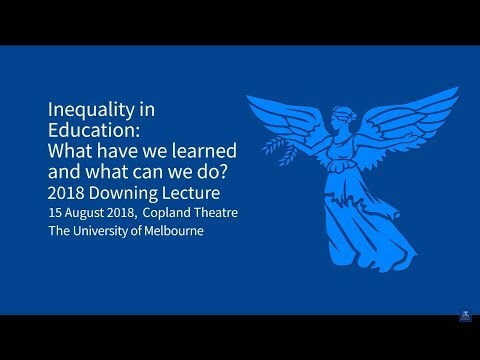 Dean's Lecture Series 2018 - How do Teachers Resist Policy they Disagree With? 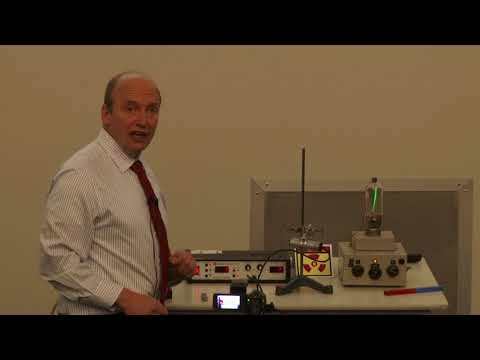 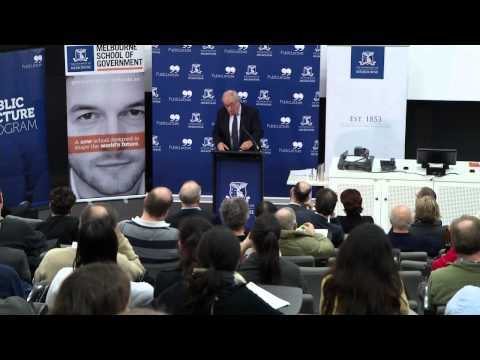 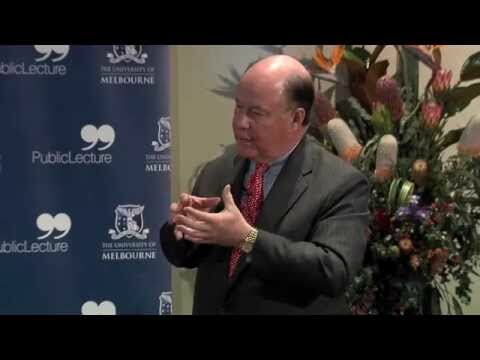 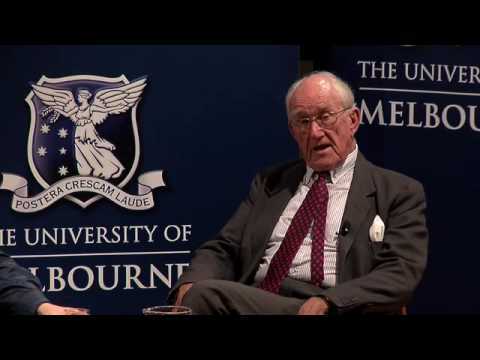 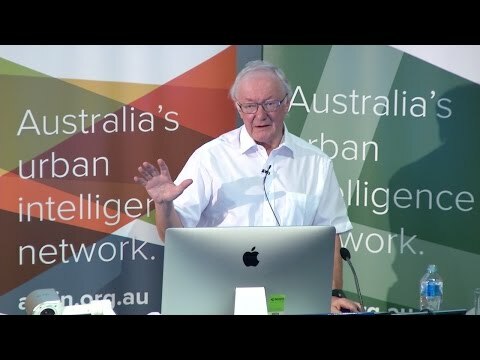 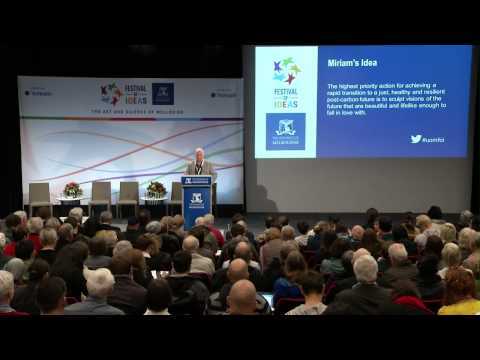 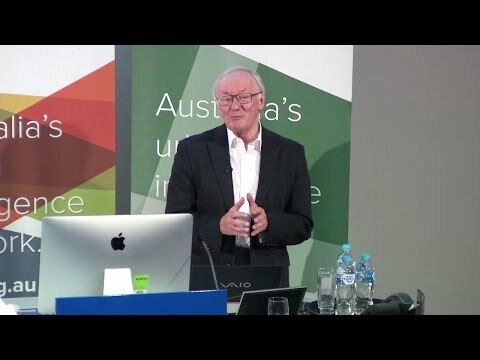 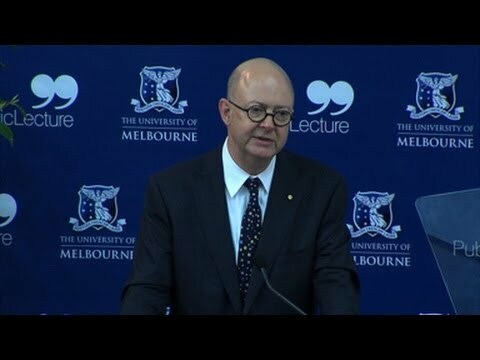 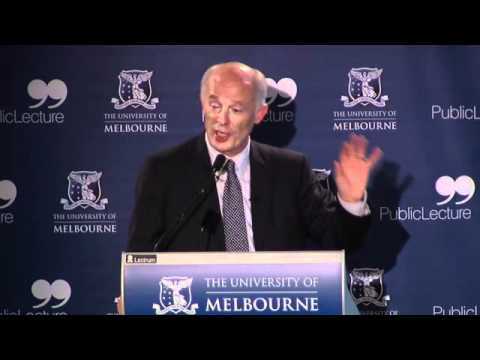 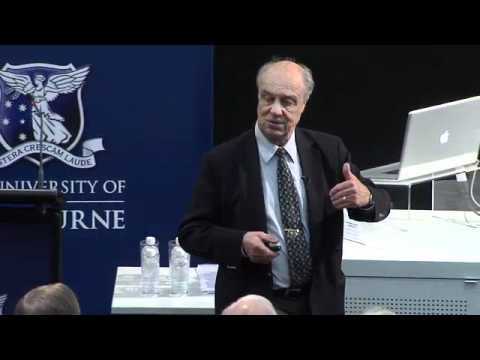 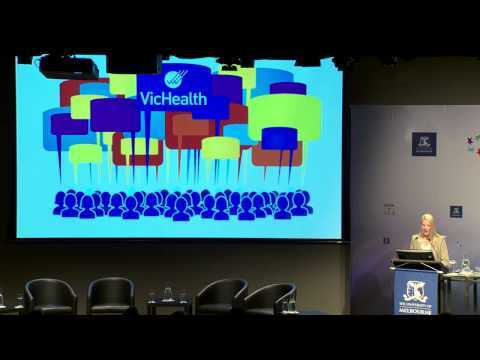 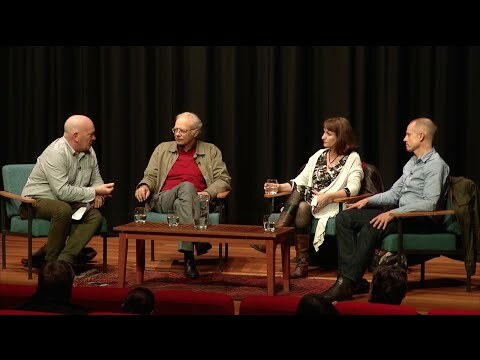 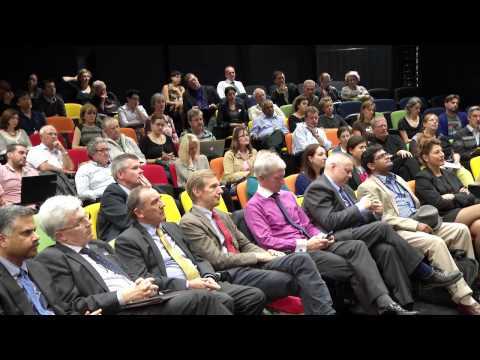 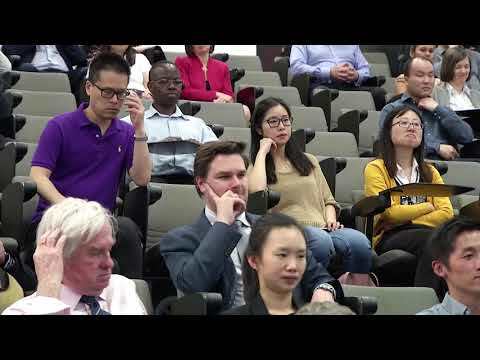 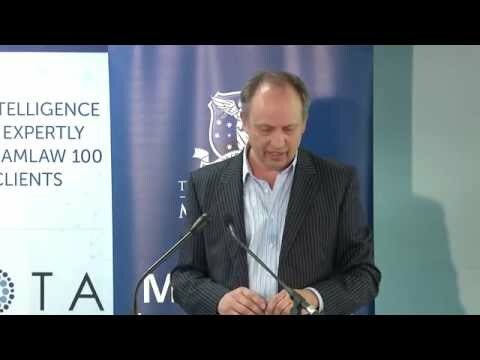 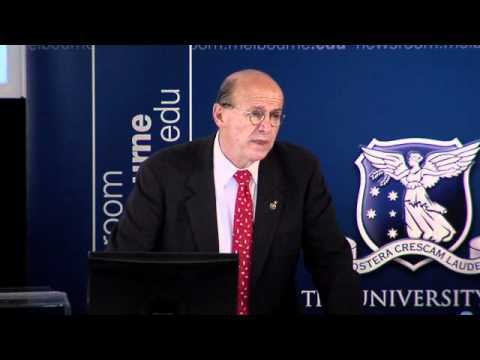 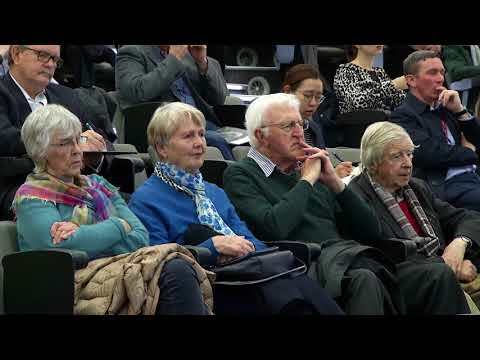 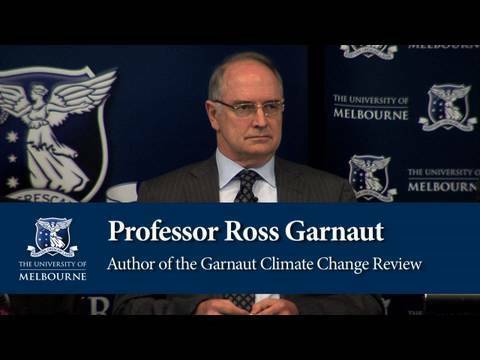 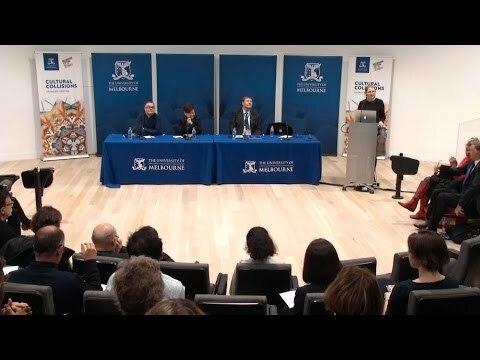 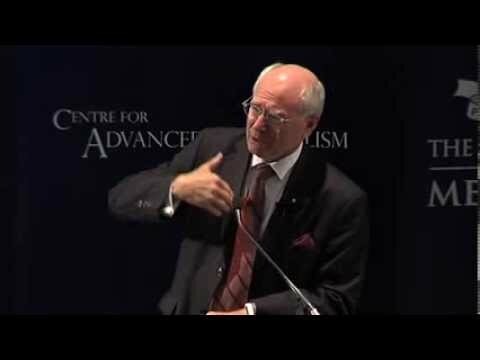 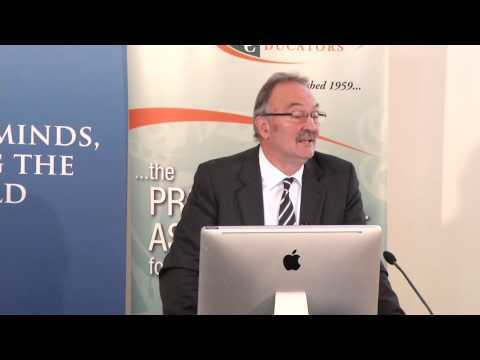 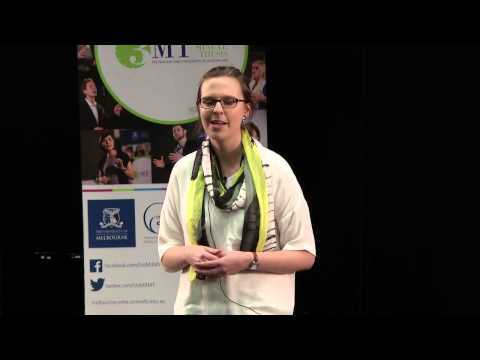 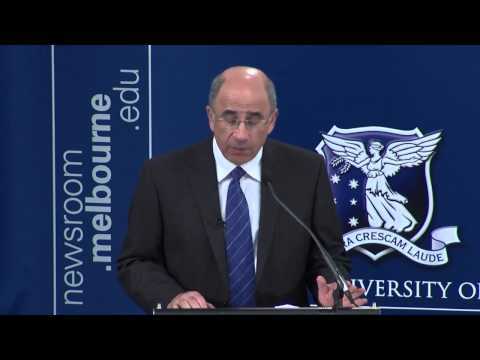 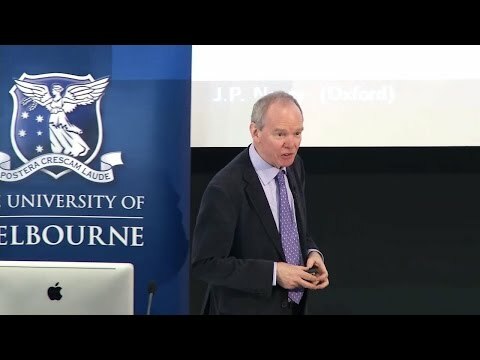 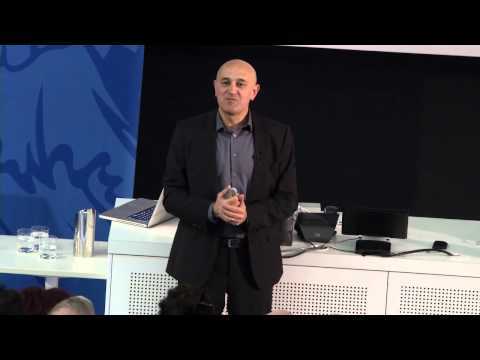 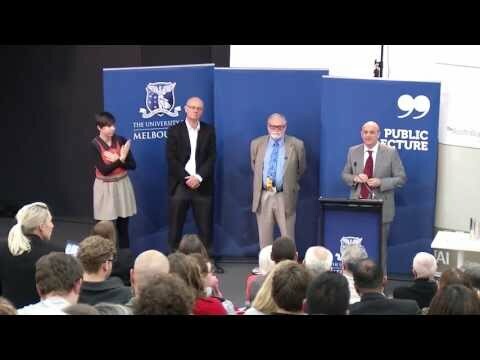 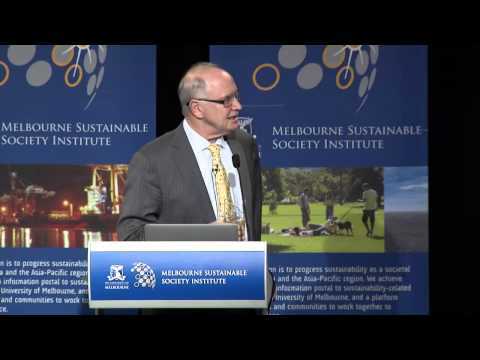 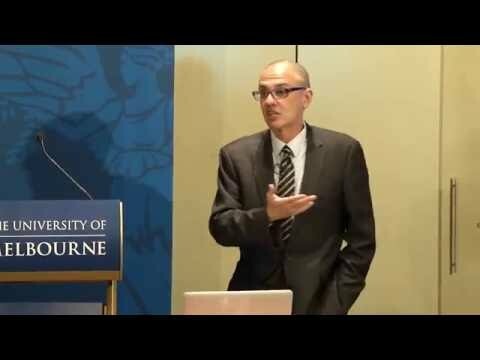 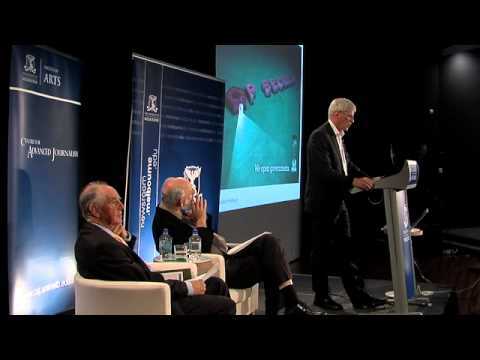 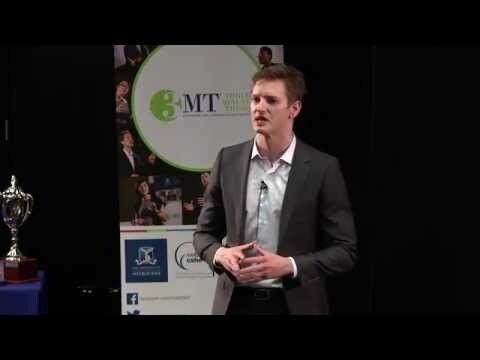 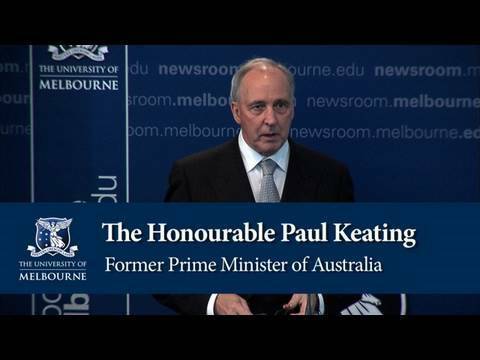 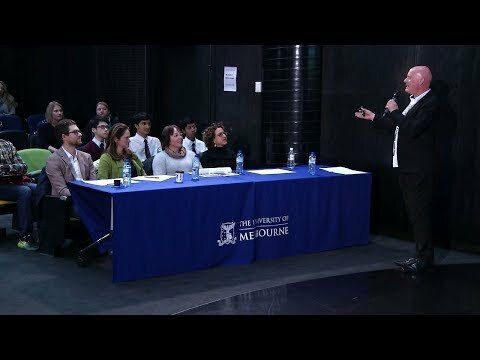 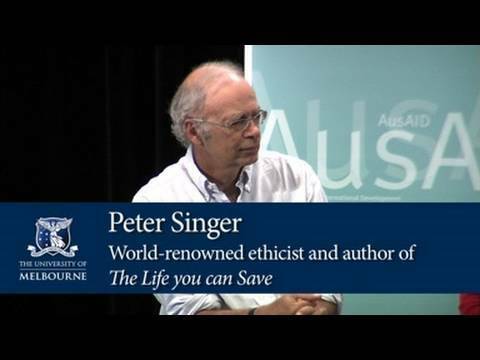 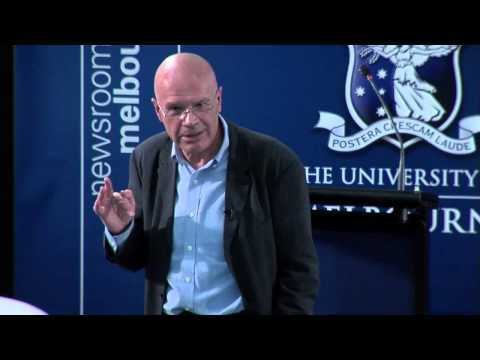 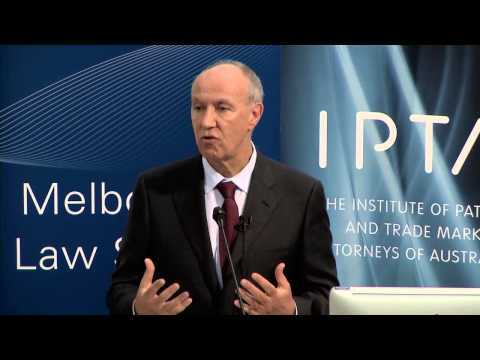 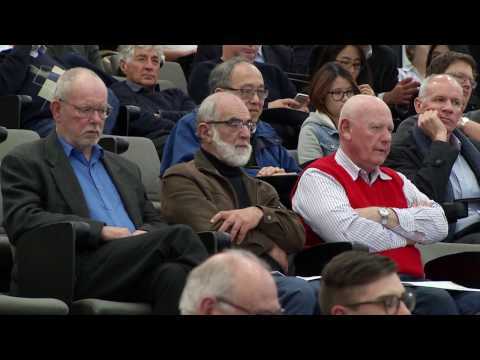 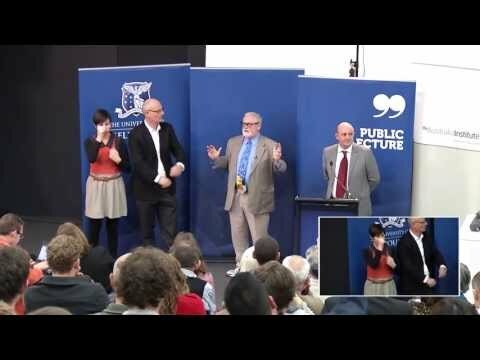 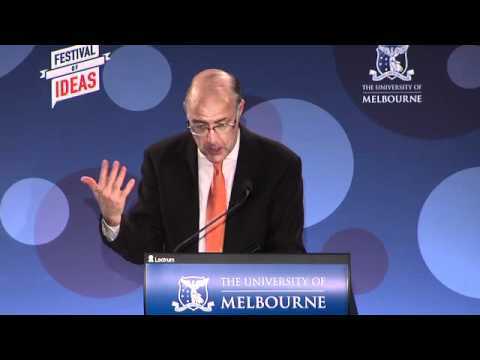 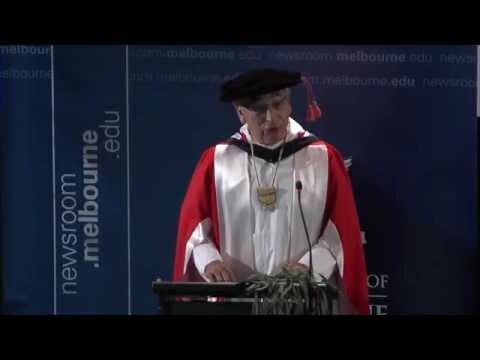 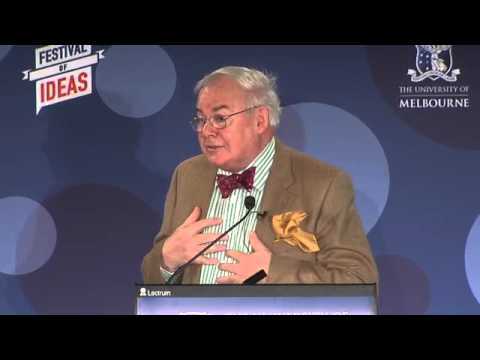 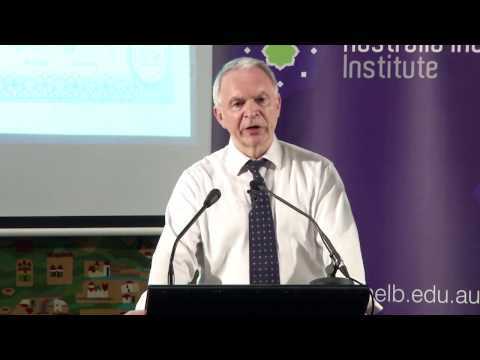 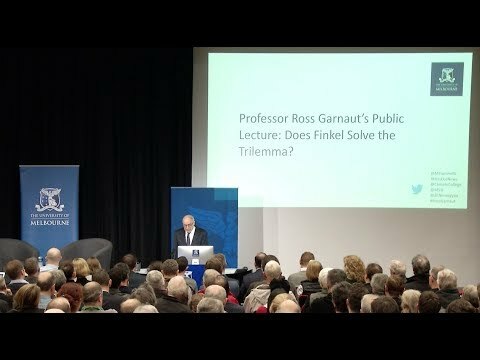 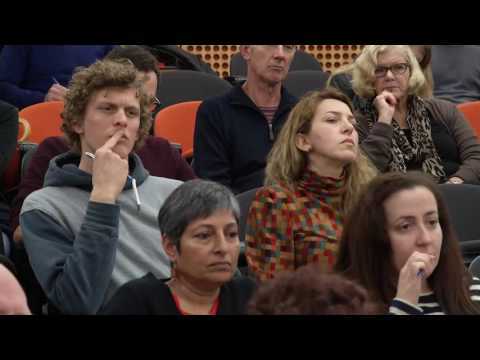 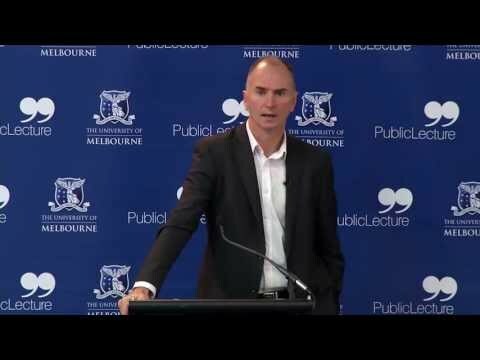 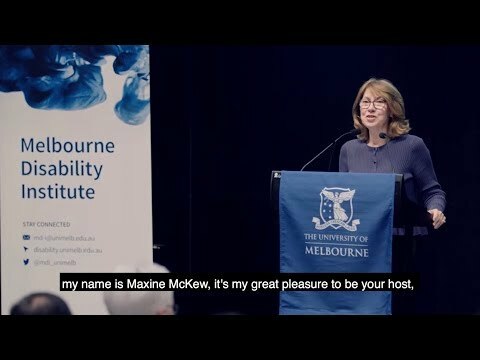 Professor Ross Garnaut's Public Lecture: Does Finkel Solve the Trilemma? 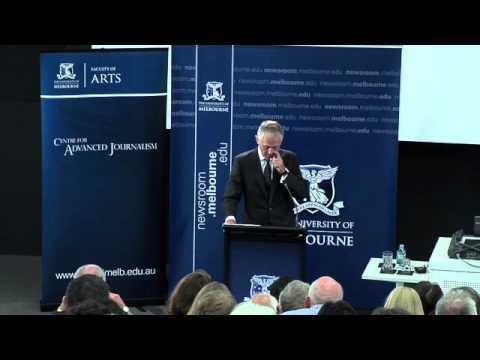 Politicians and Journalists: Adversaries or Bedfellows? 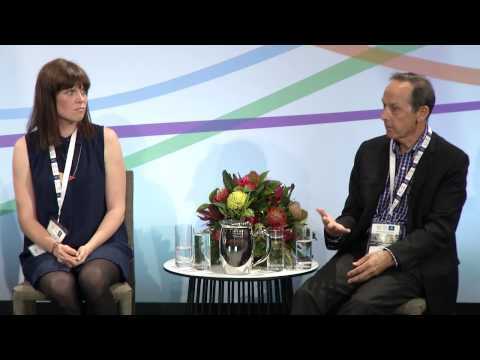 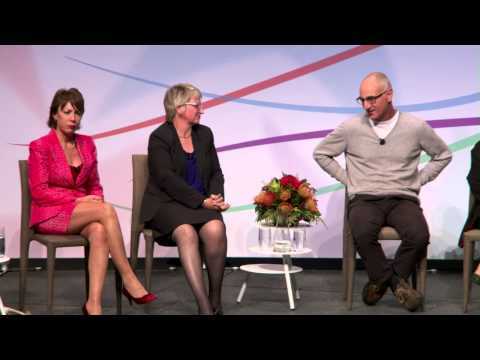 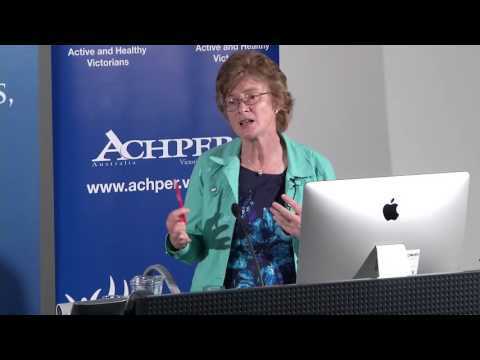 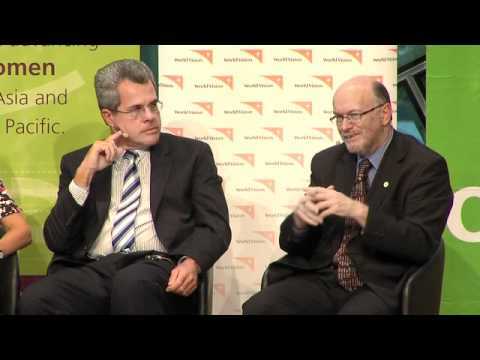 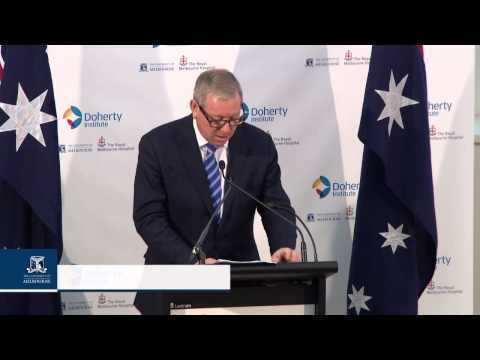 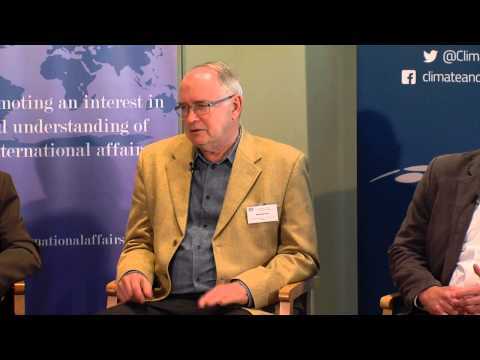 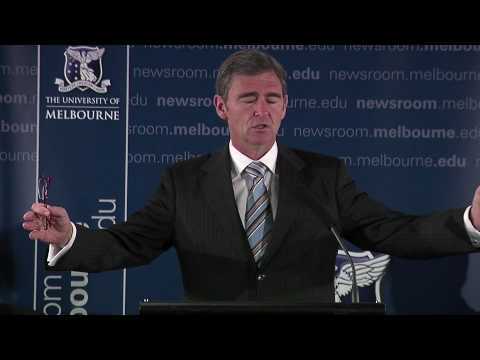 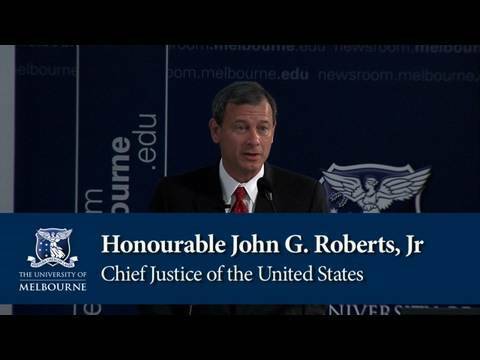 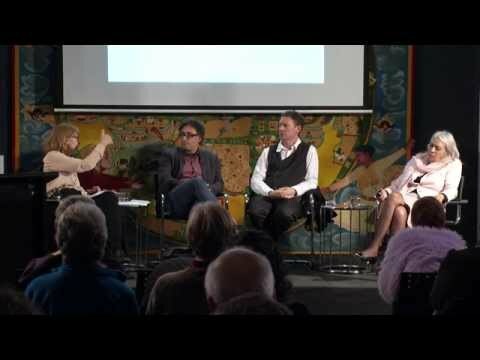 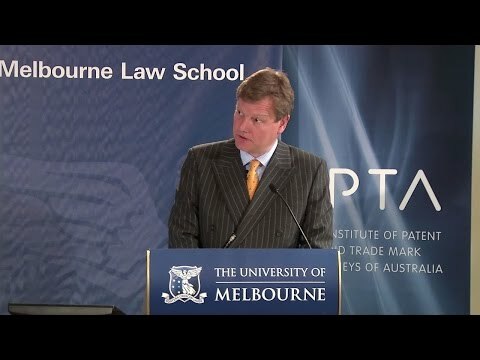 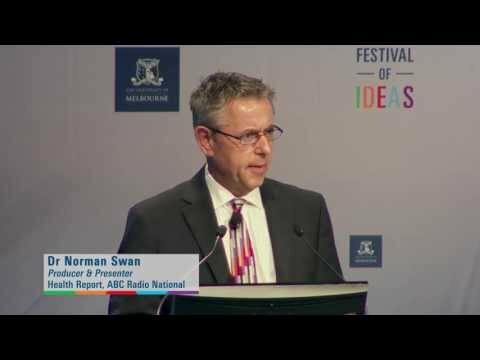 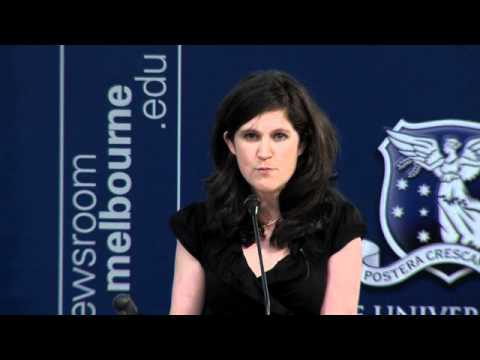 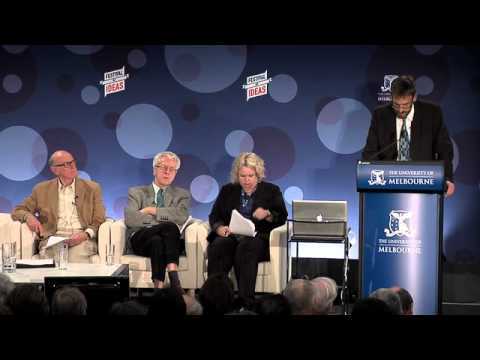 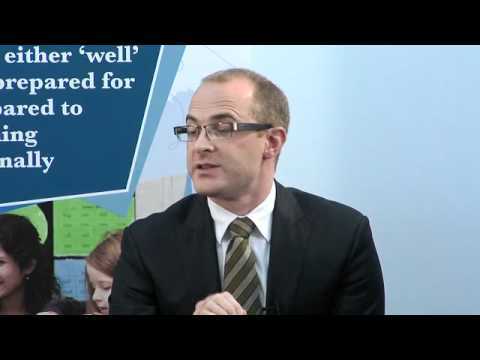 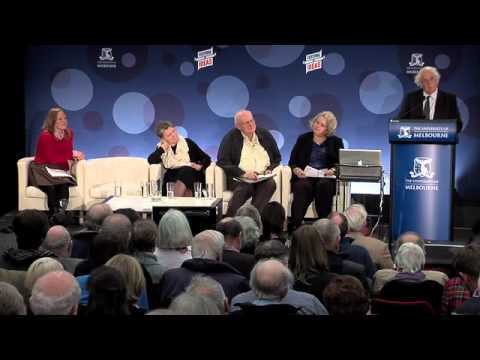 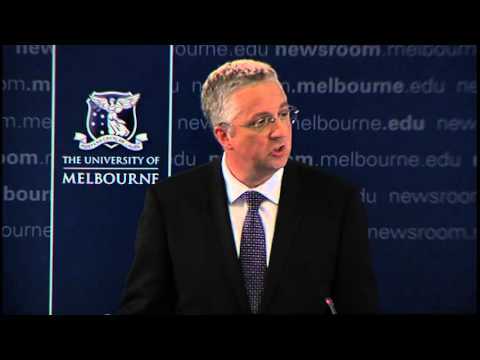 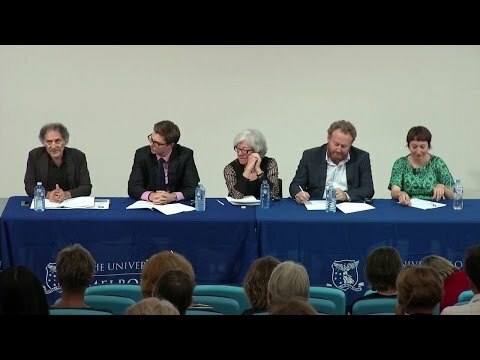 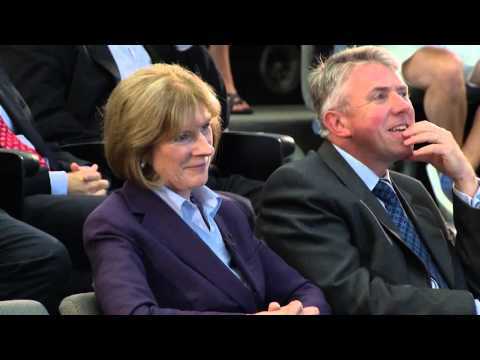 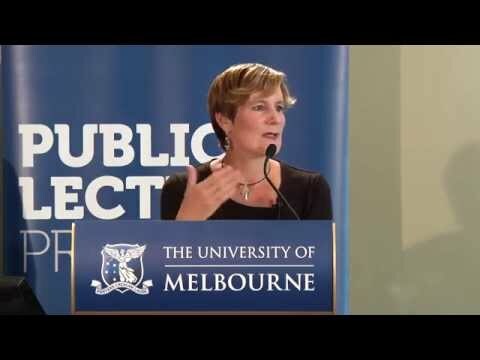 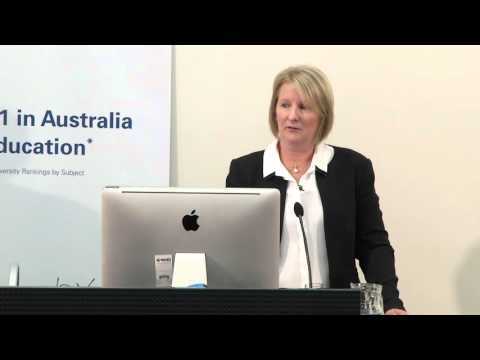 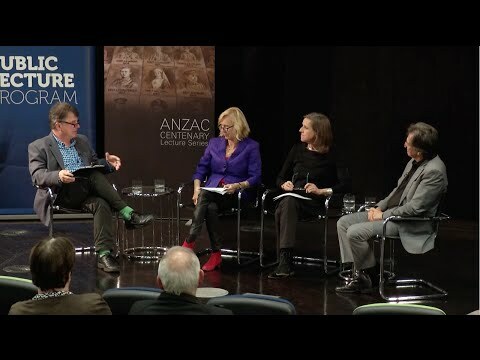 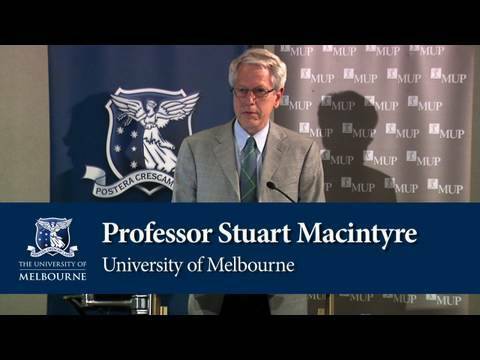 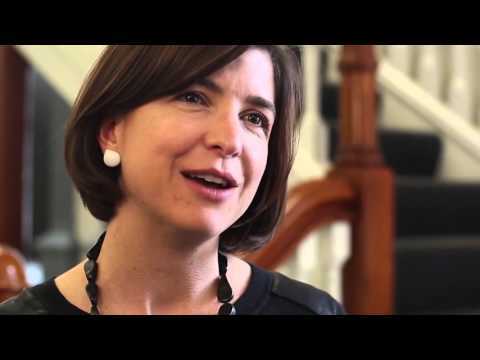 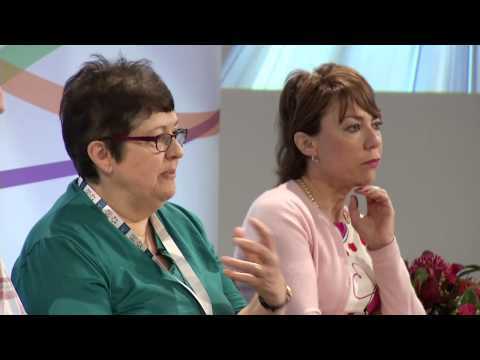 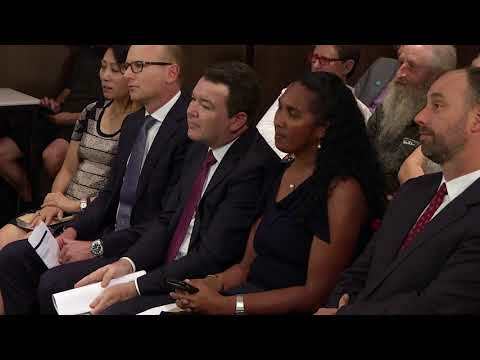 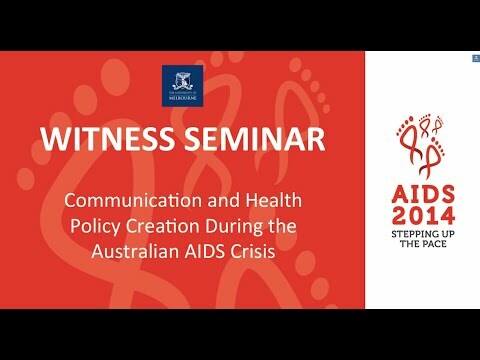 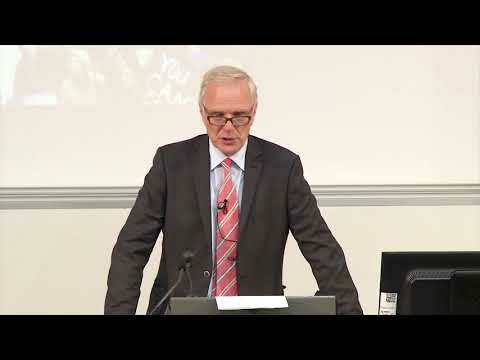 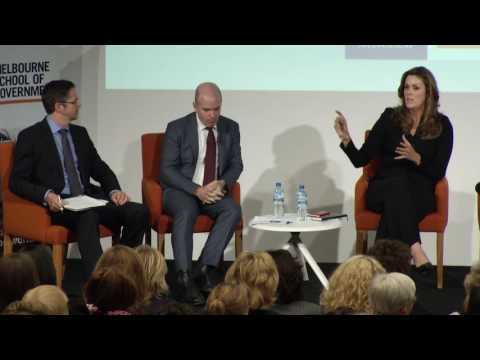 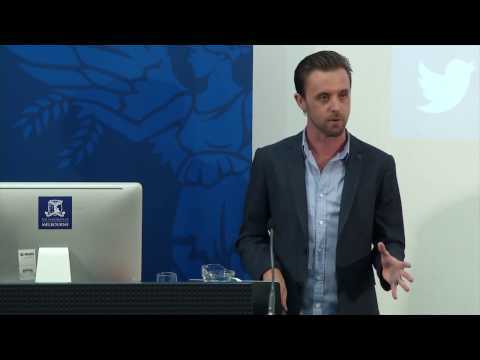 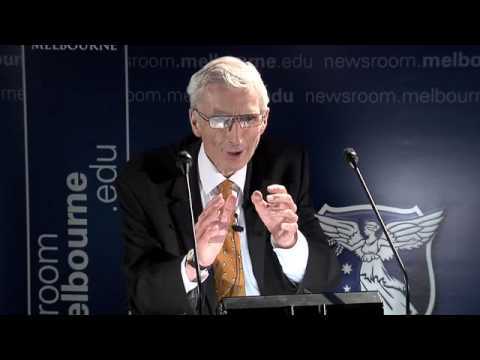 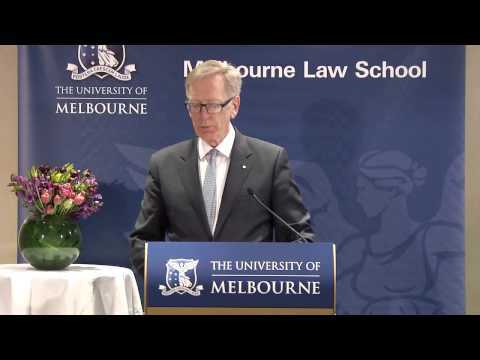 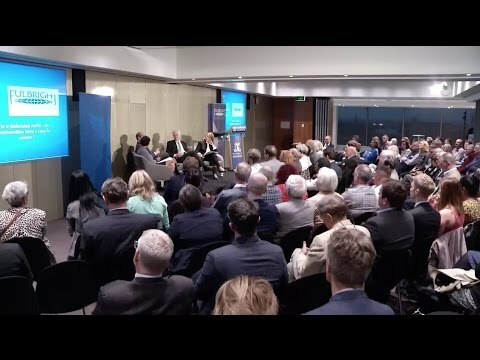 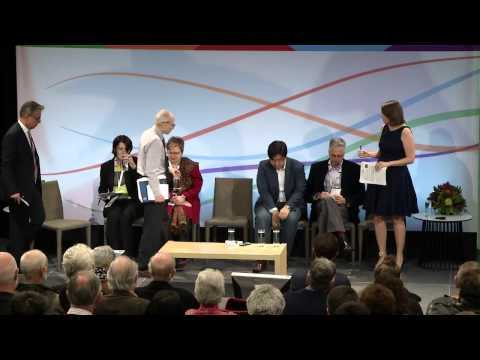 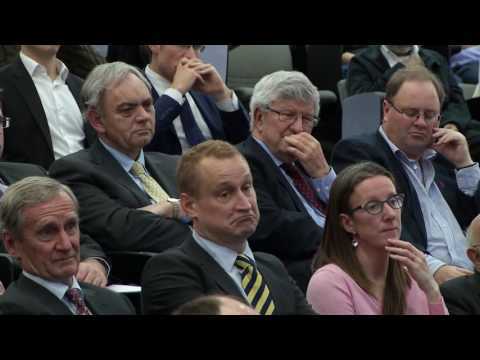 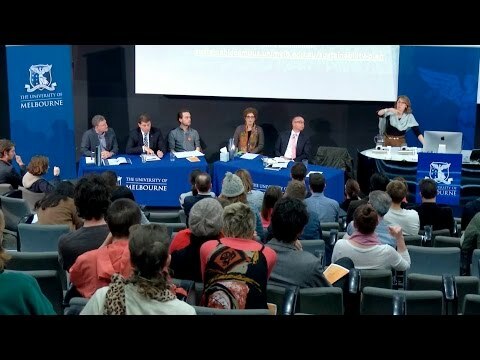 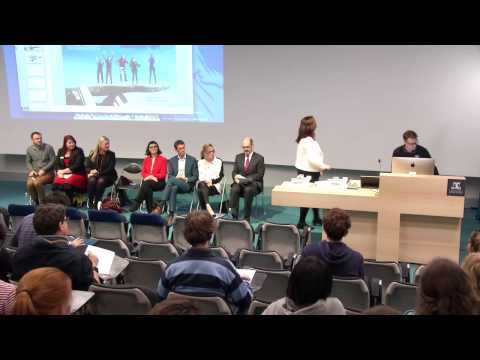 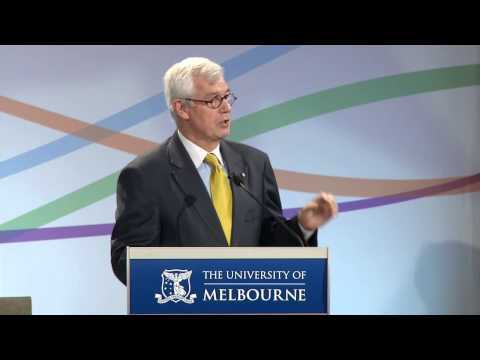 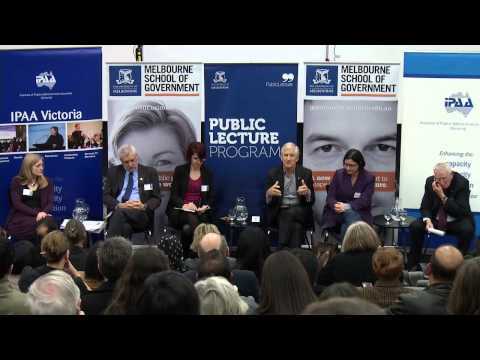 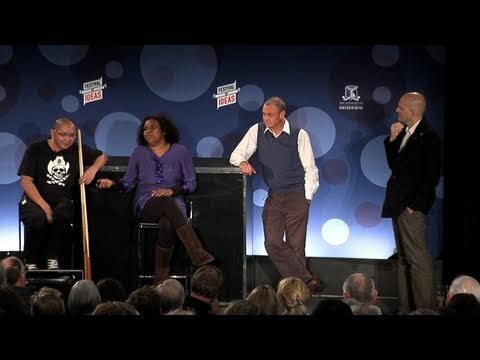 Q&A Panel: Who Makes Public Policy in Australia? 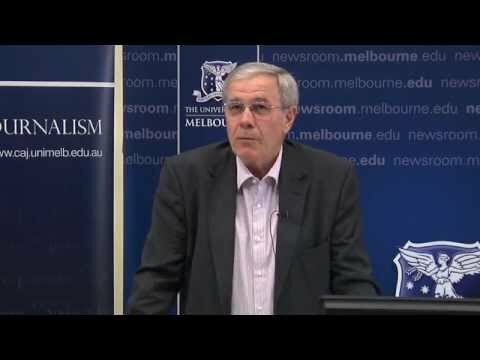 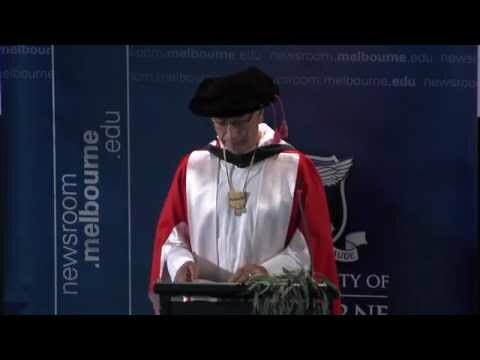 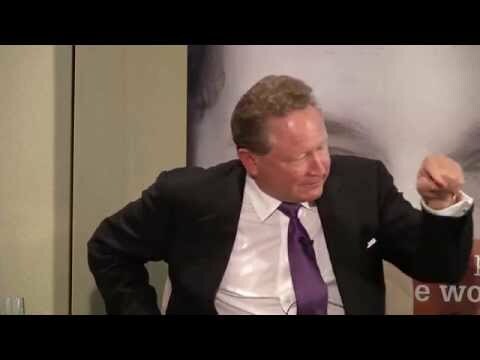 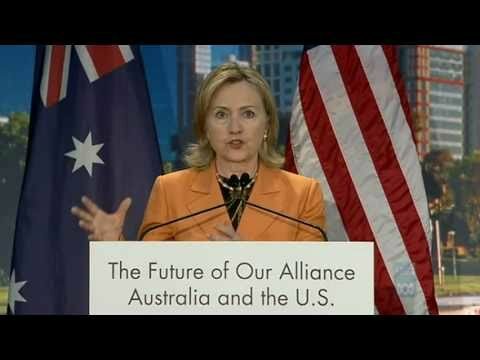 Australia and the West in a new Asian order? 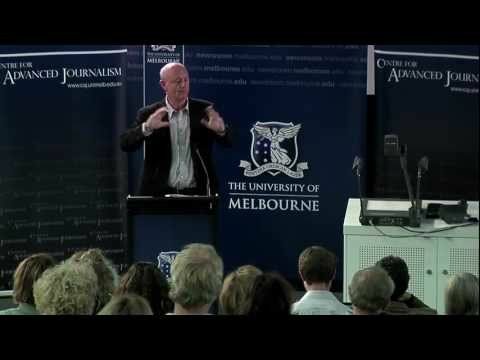 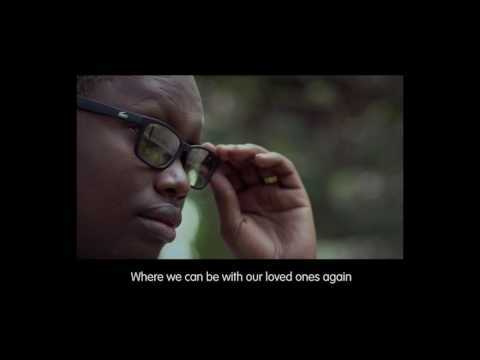 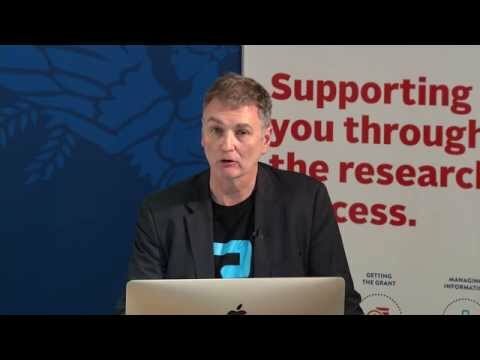 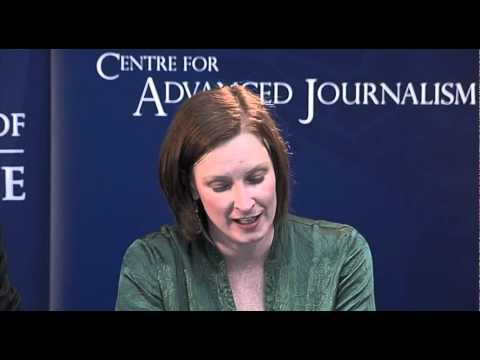 The Post-Mortem on Journalism Reform: What Happens Now? 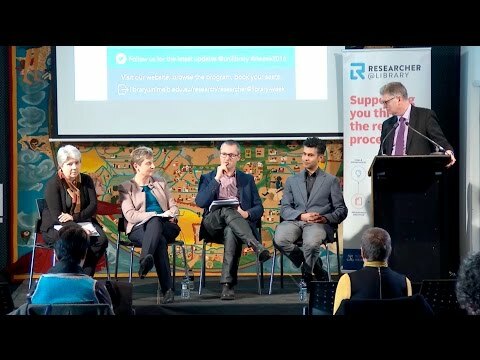 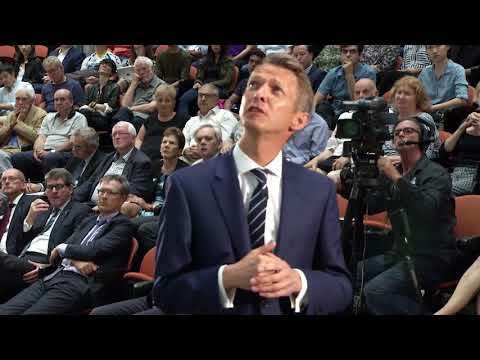 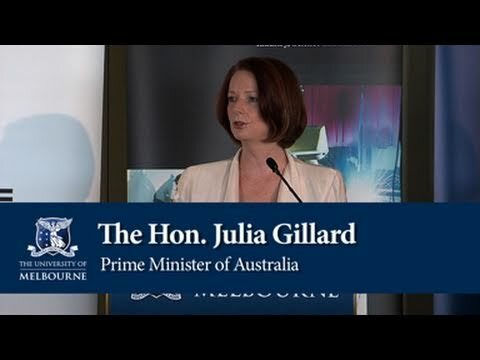 What can we learn from climate change policy making in Australia so far? 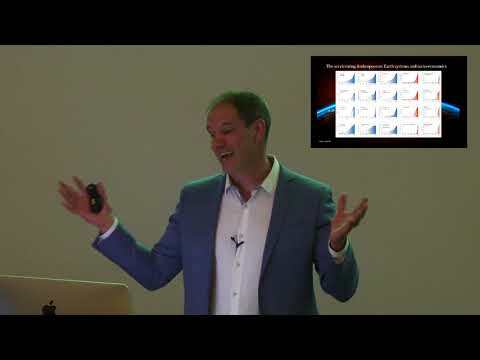 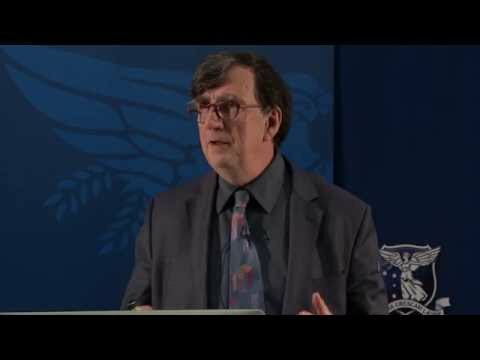 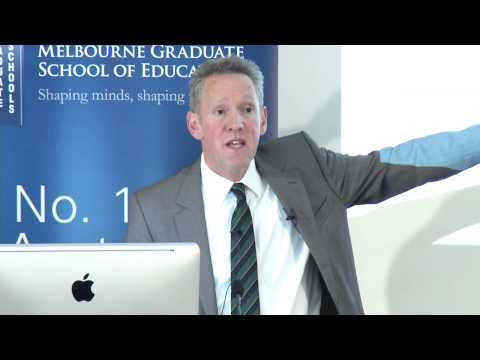 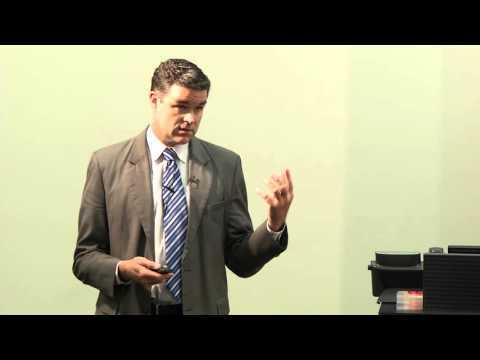 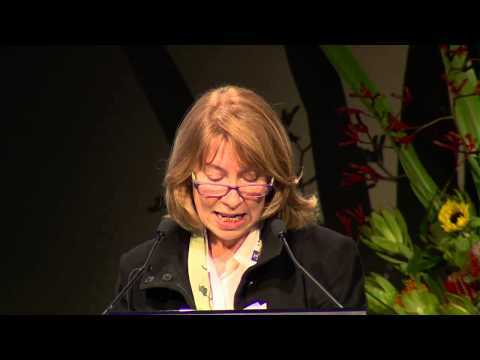 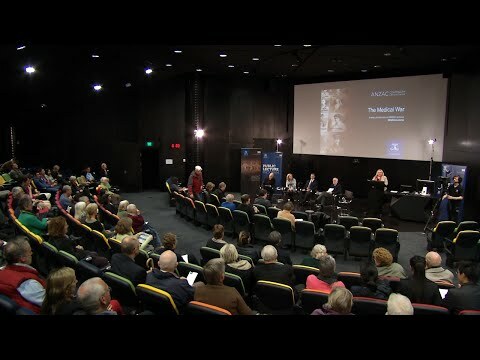 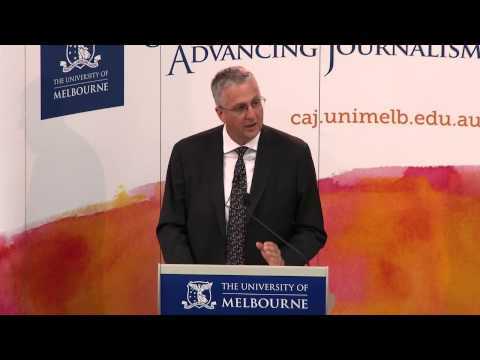 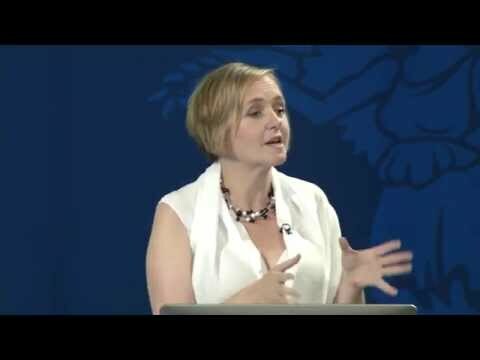 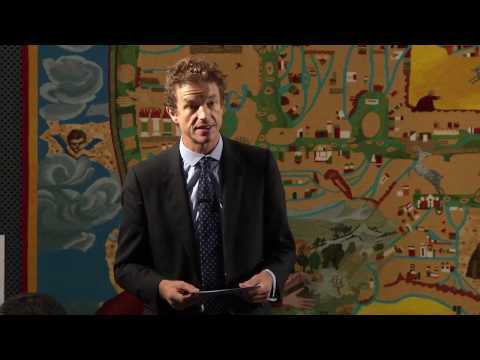 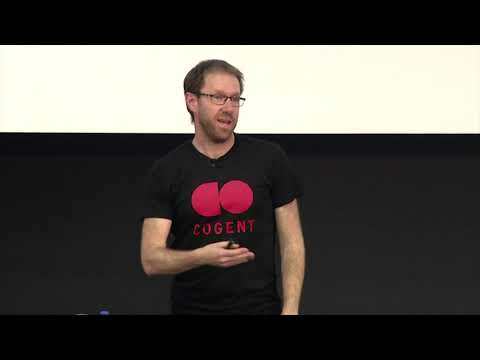 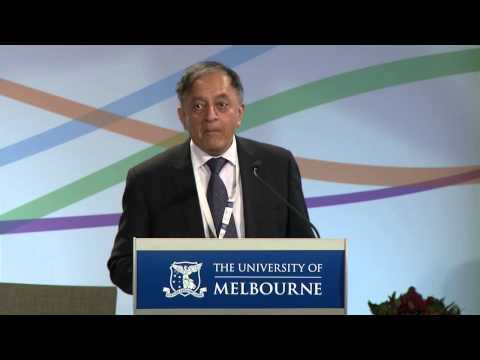 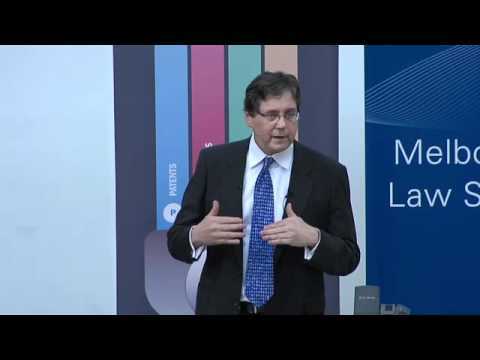 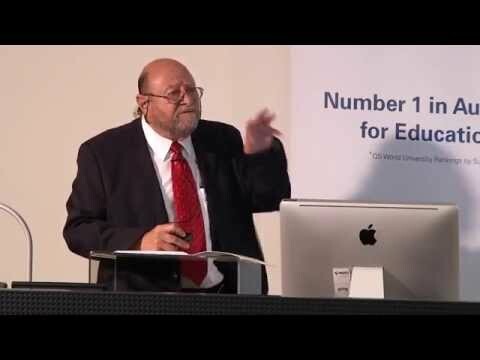 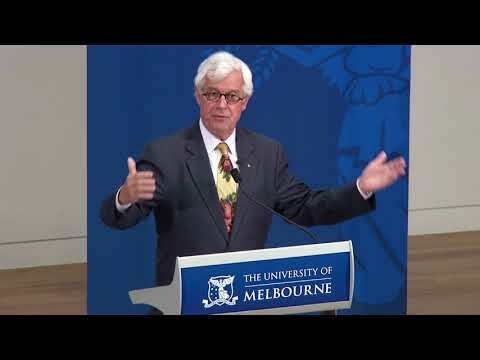 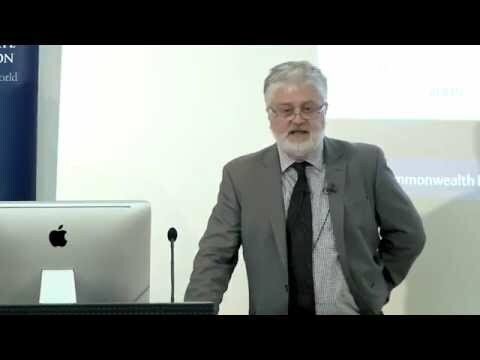 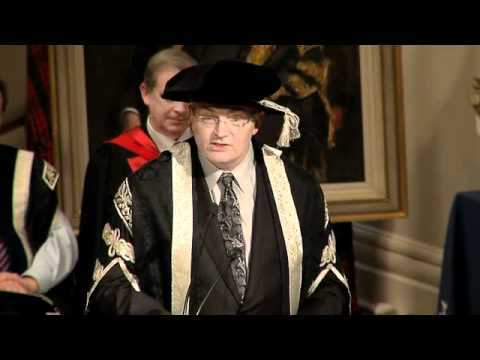 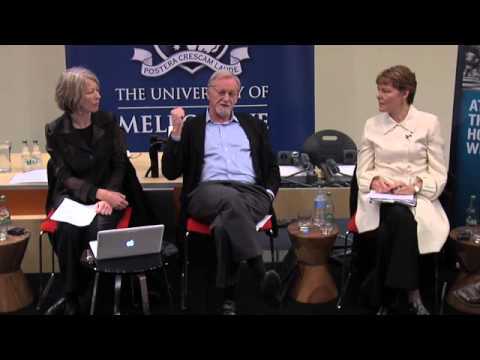 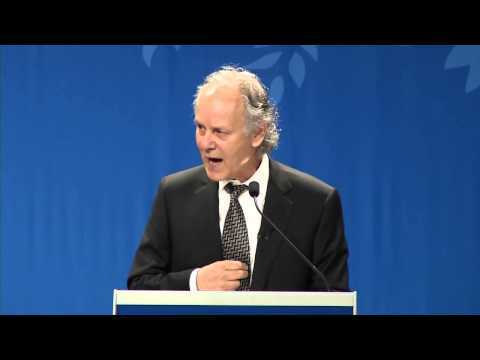 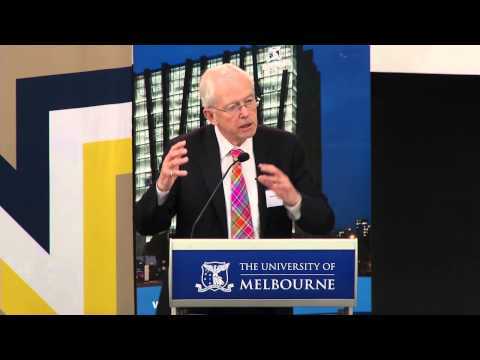 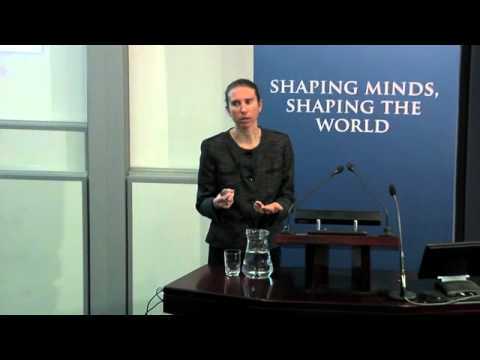 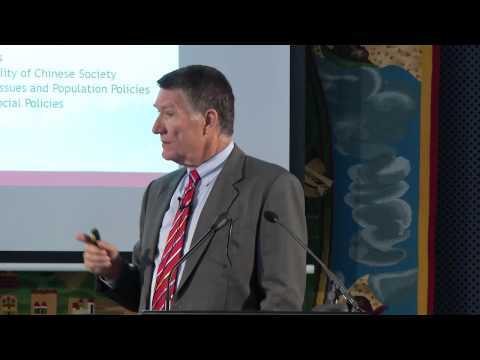 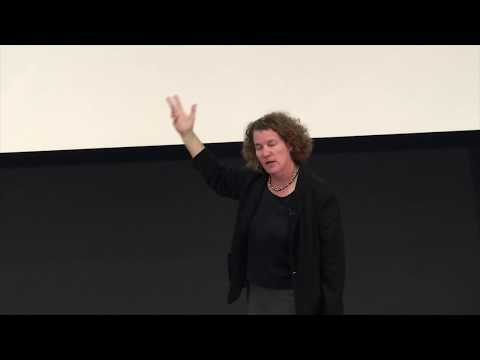 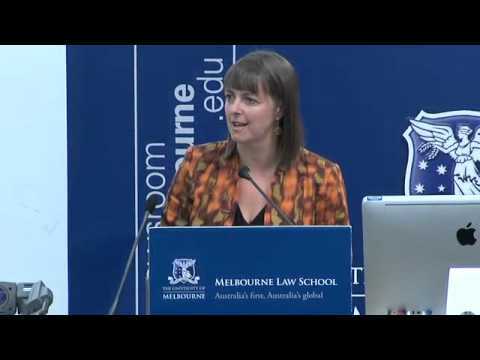 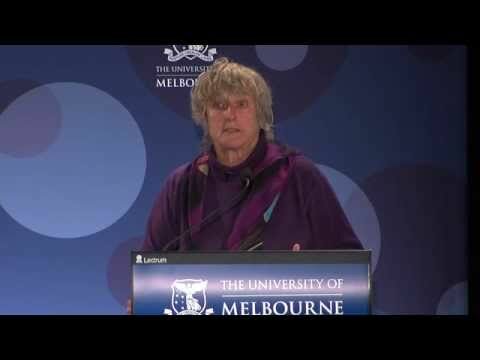 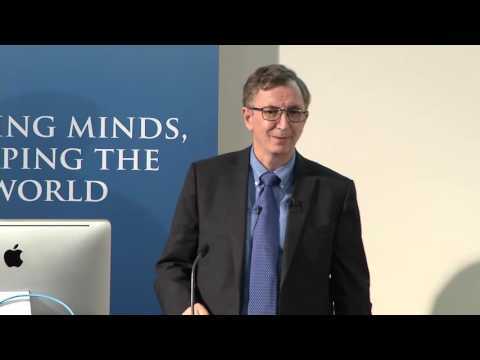 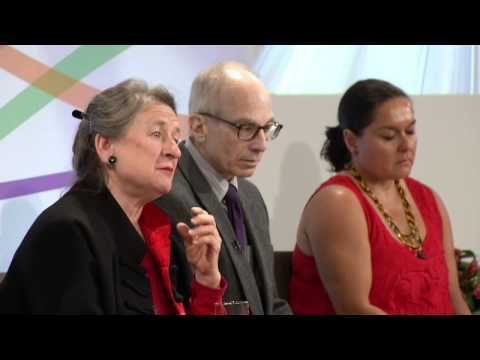 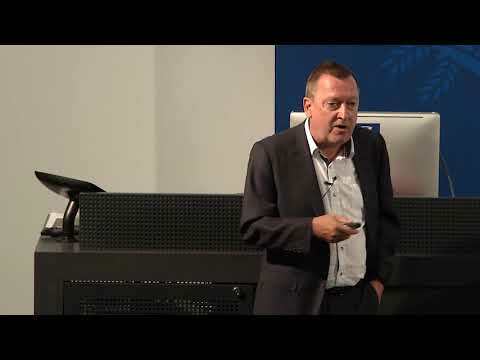 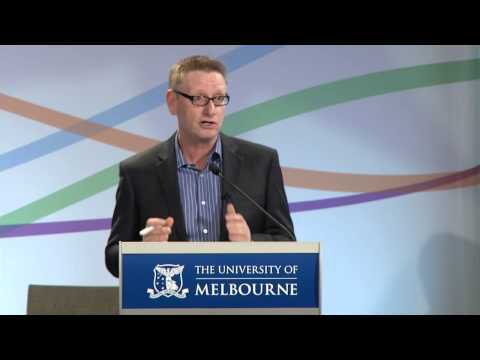 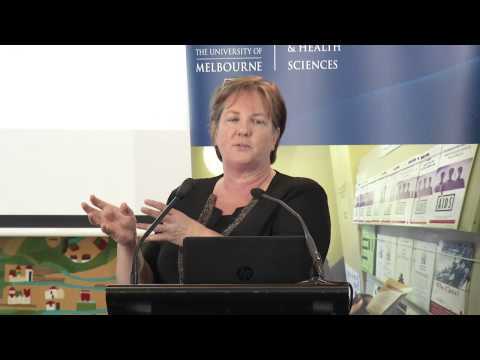 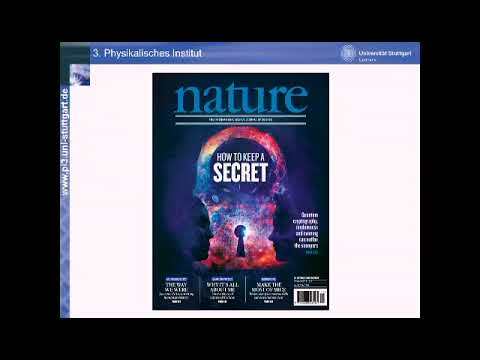 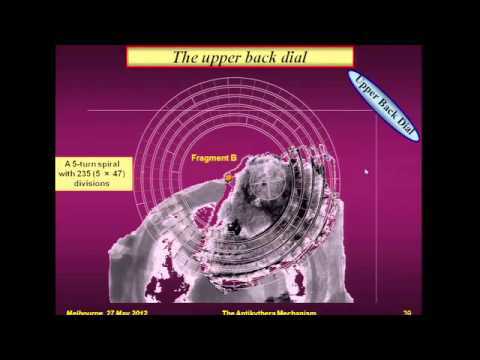 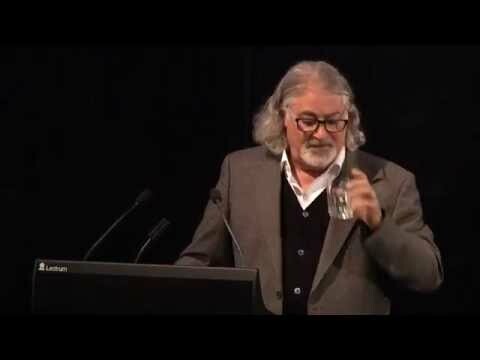 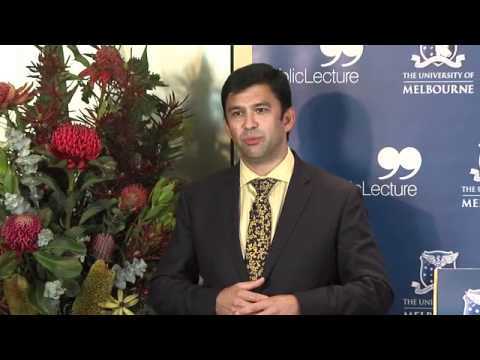 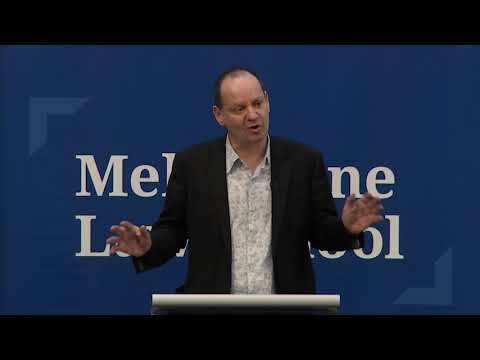 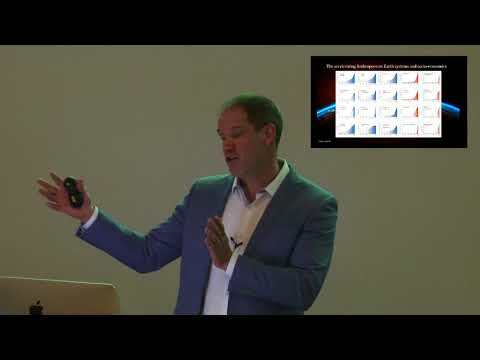 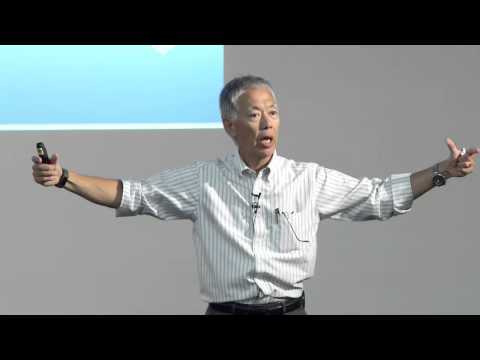 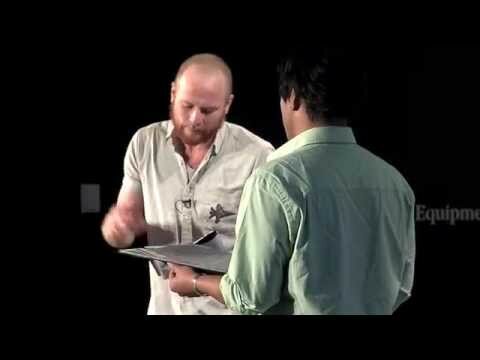 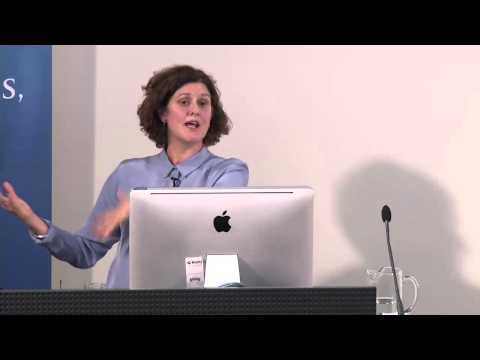 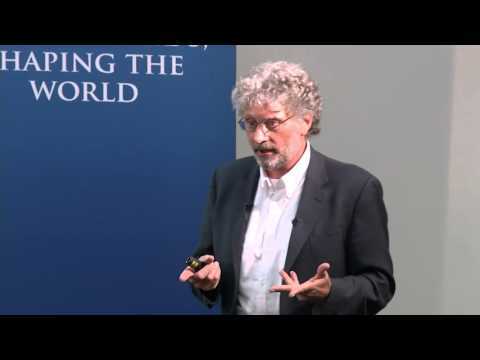 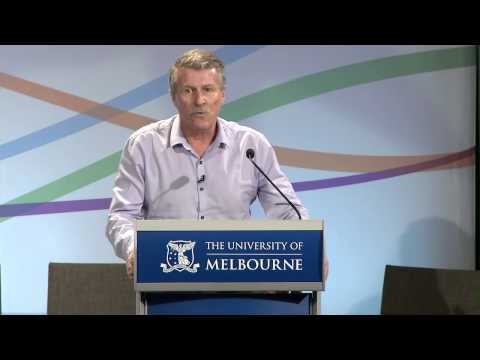 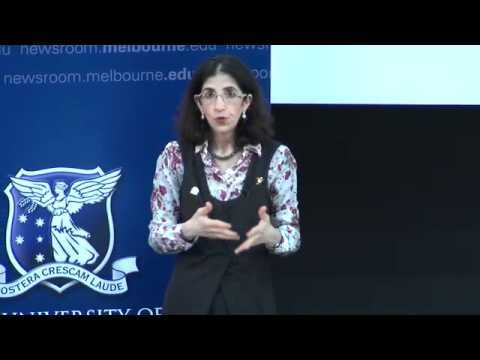 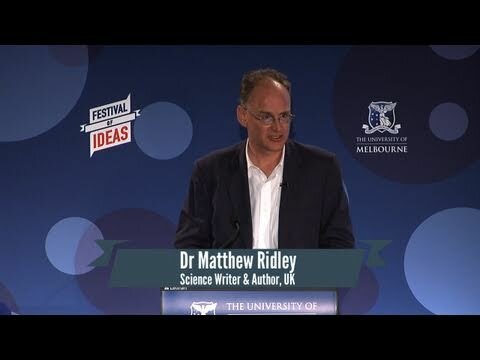 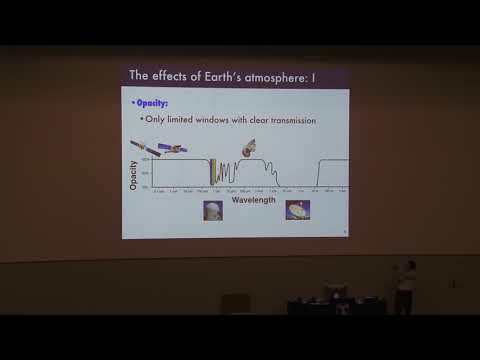 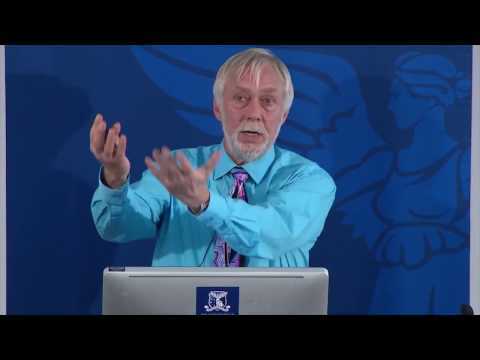 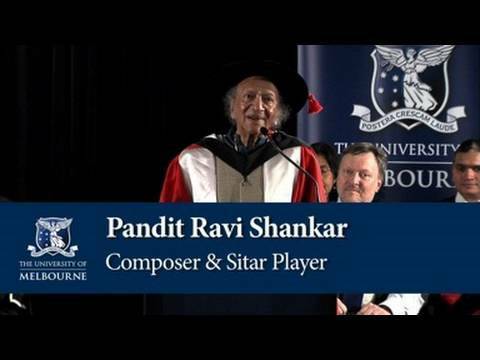 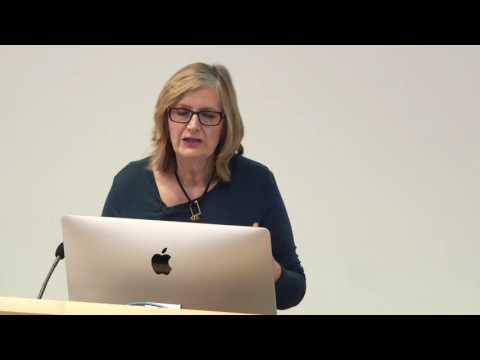 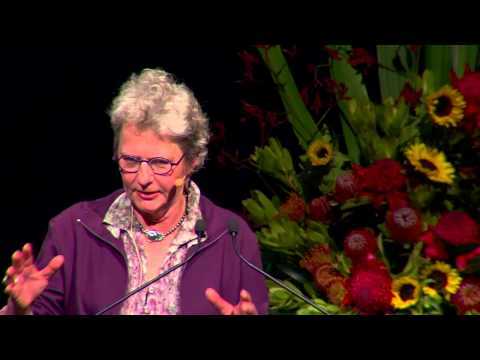 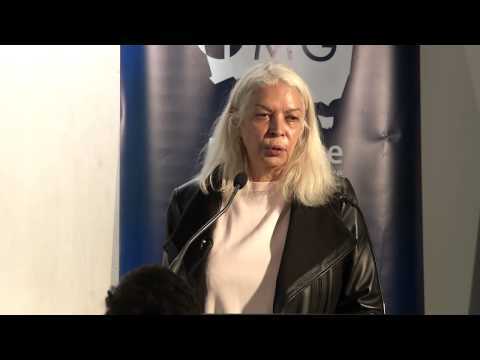 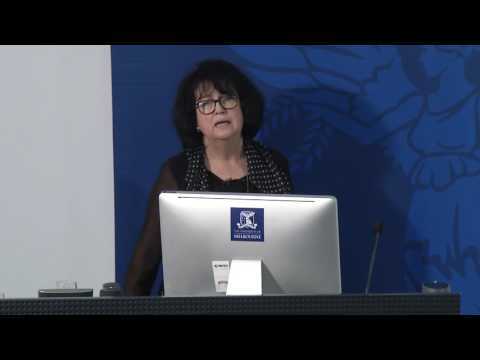 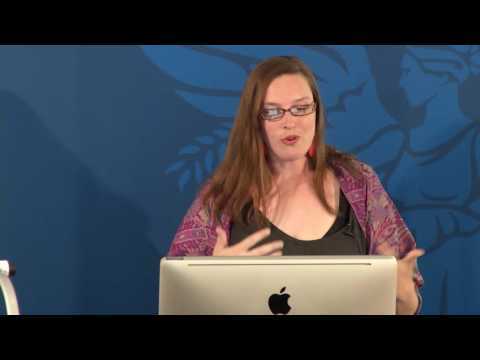 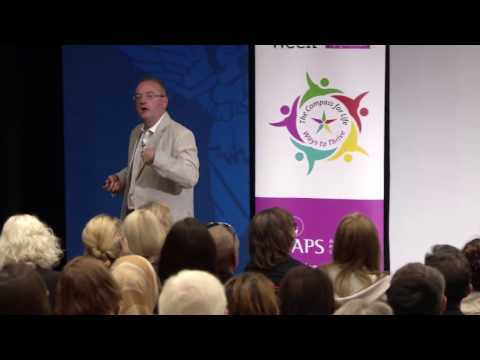 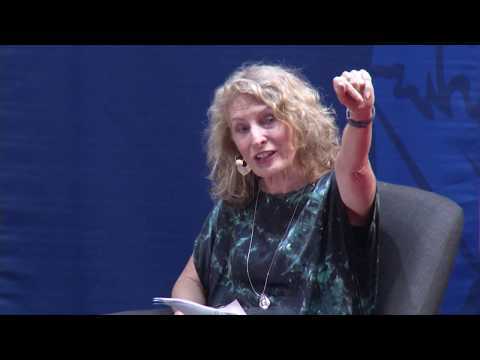 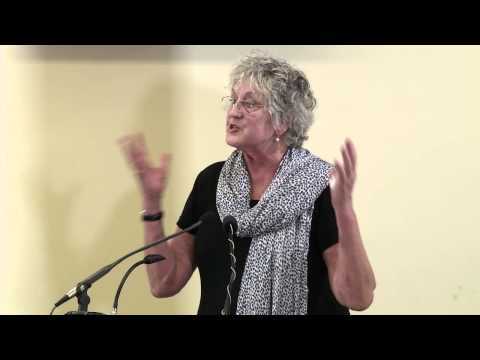 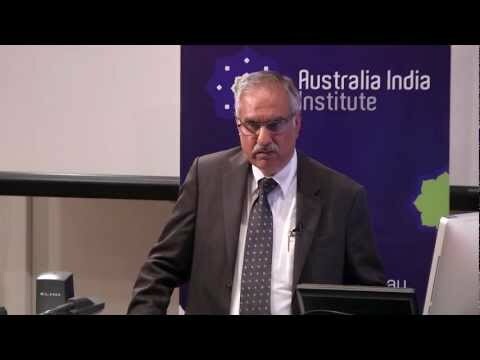 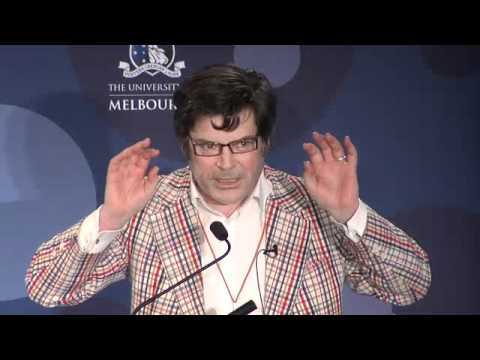 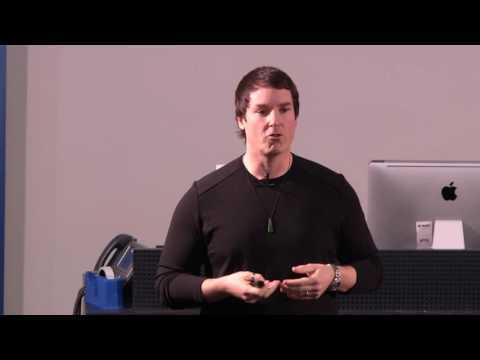 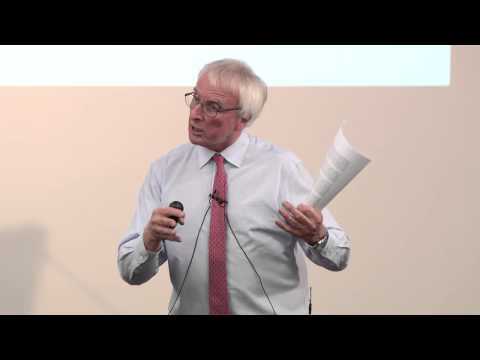 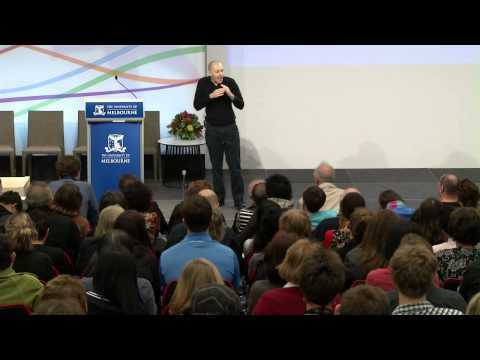 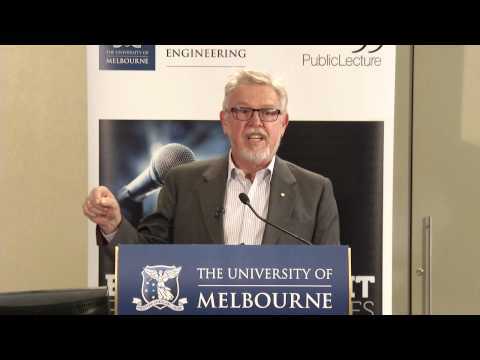 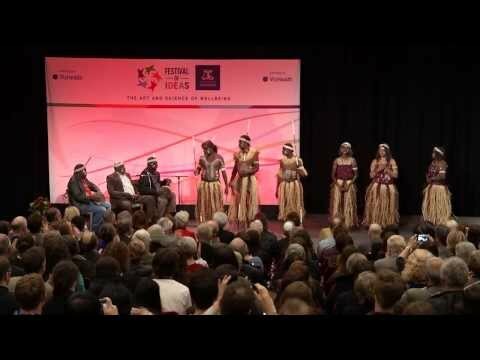 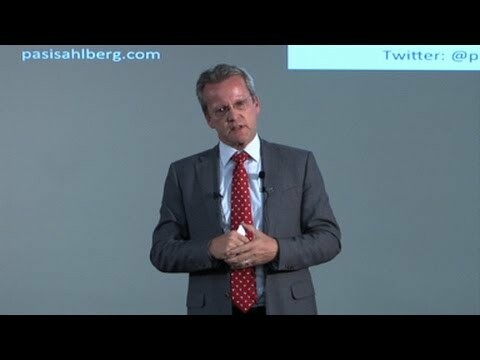 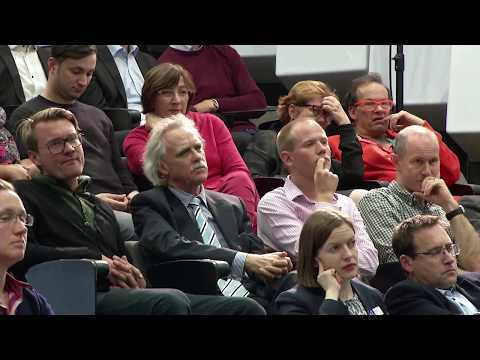 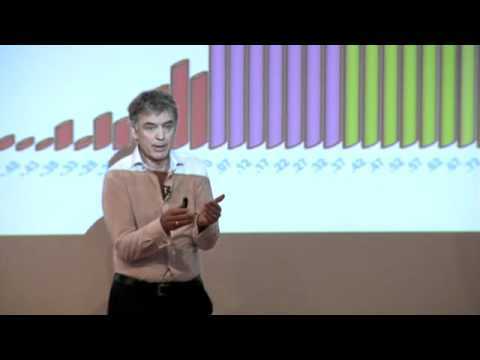 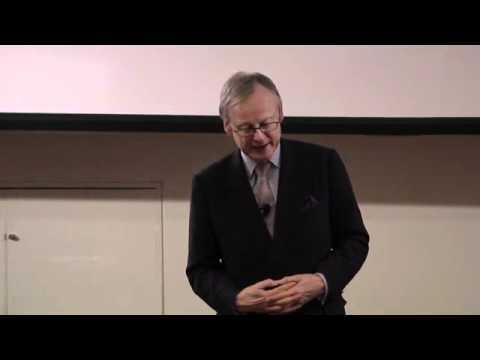 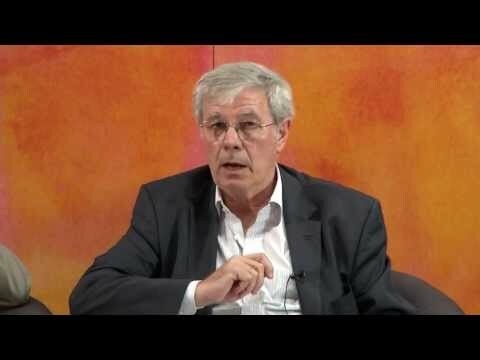 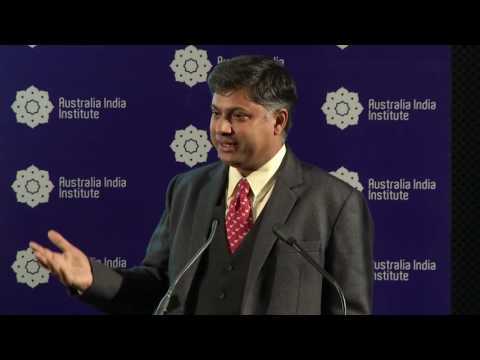 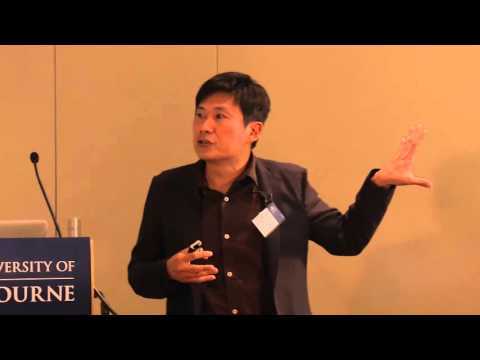 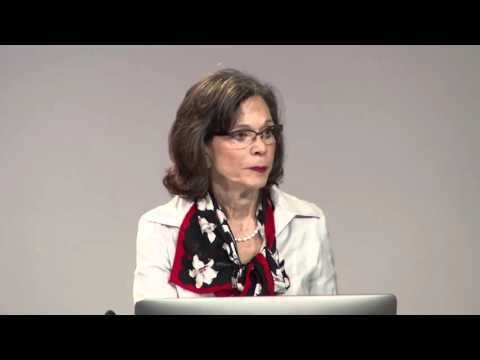 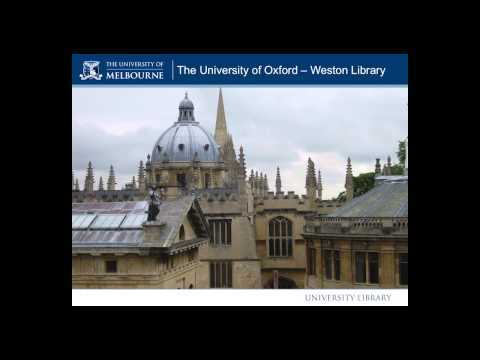 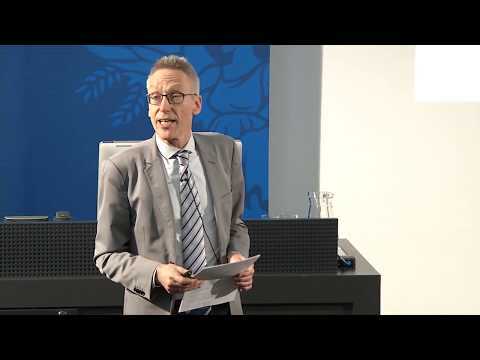 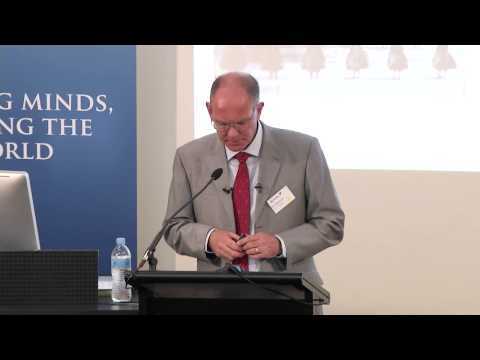 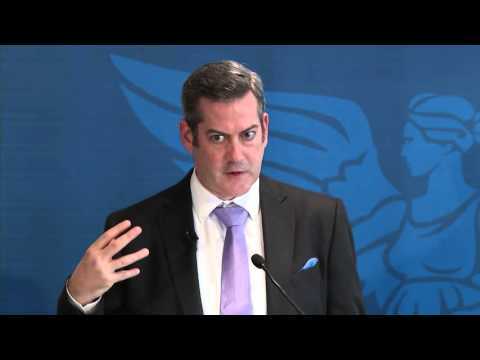 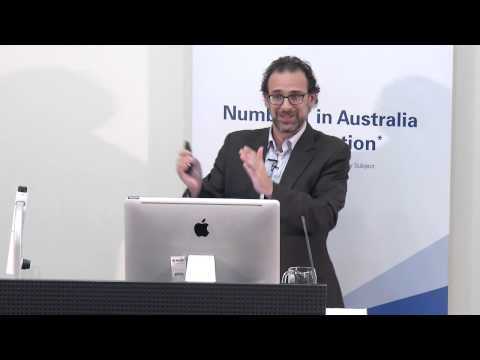 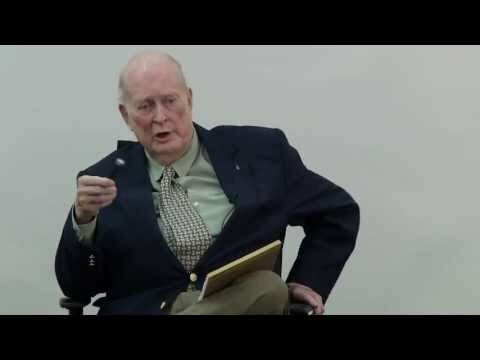 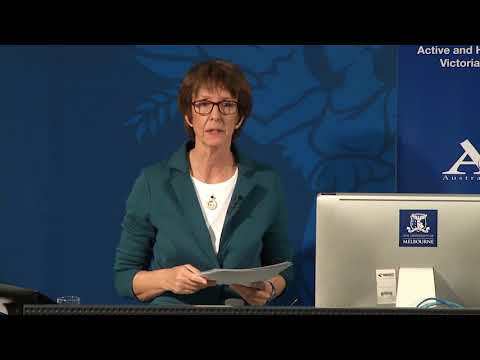 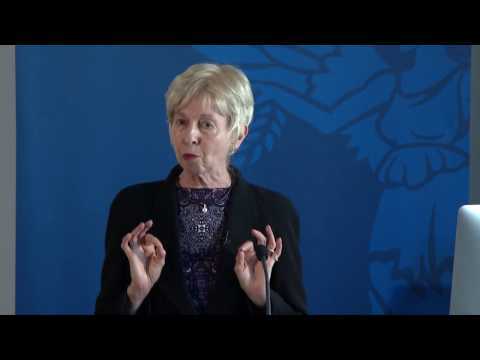 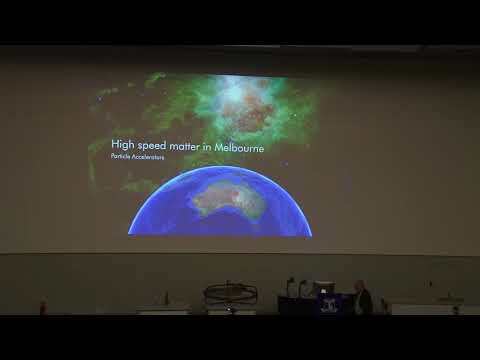 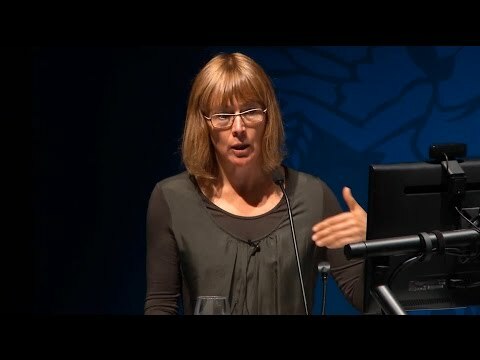 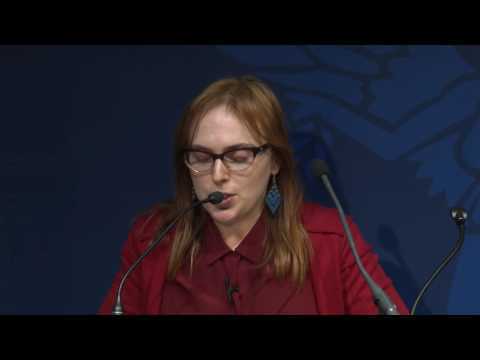 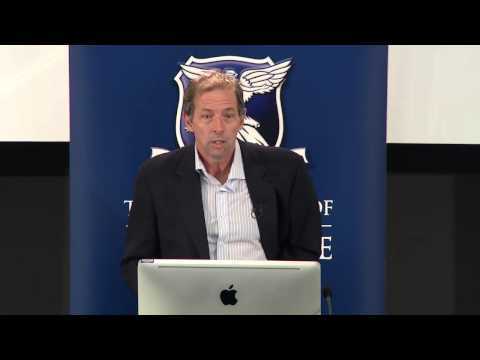 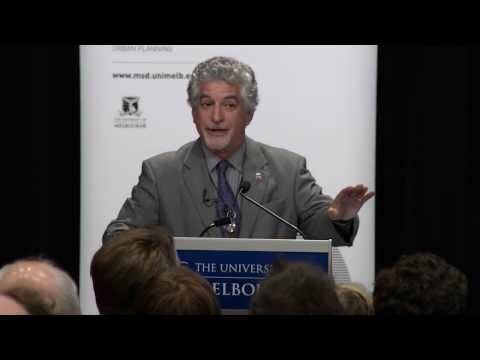 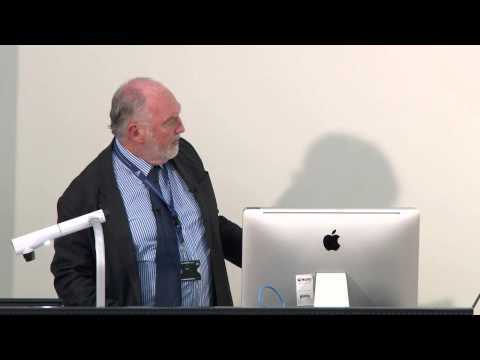 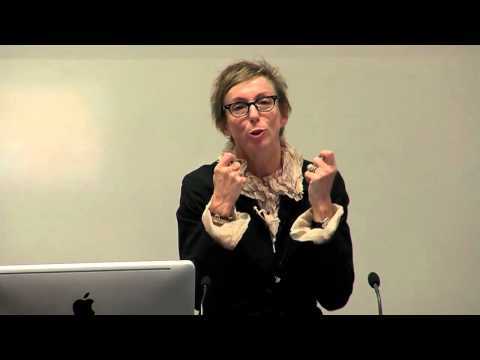 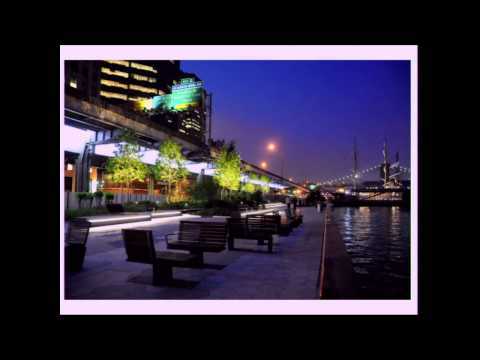 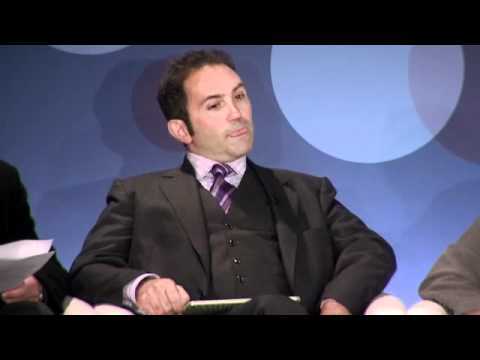 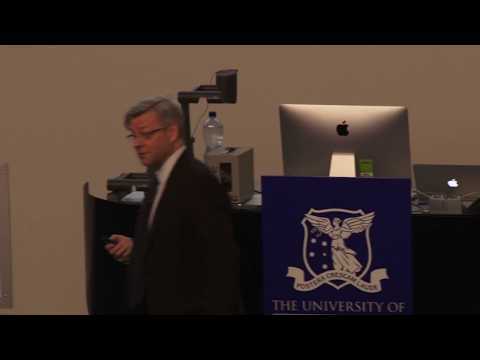 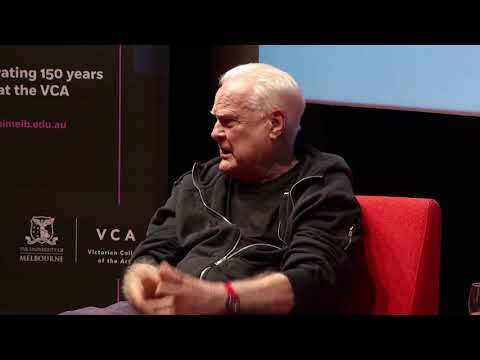 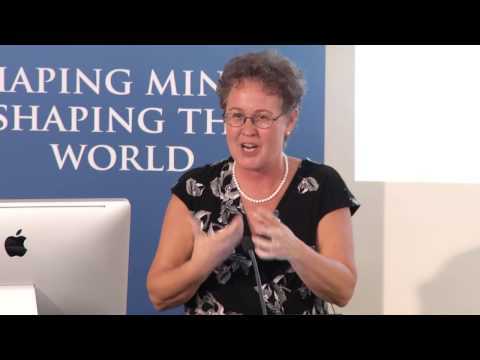 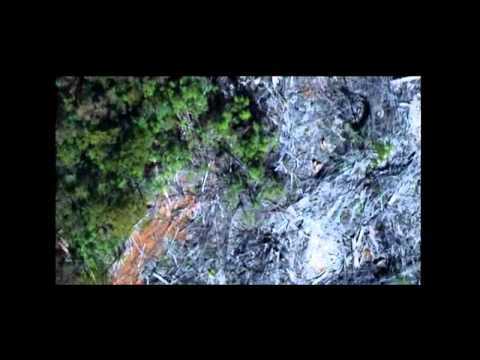 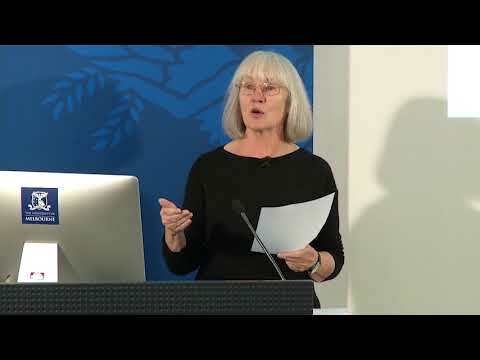 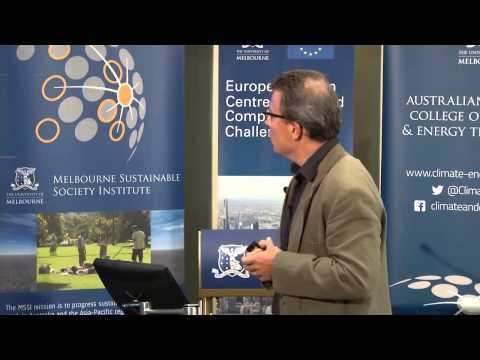 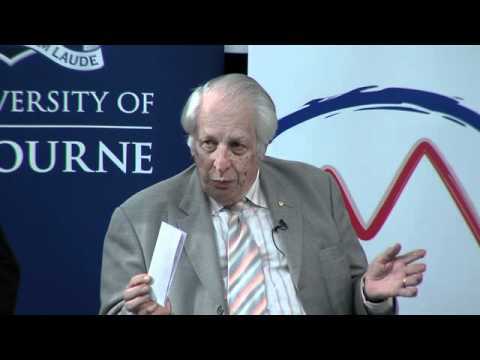 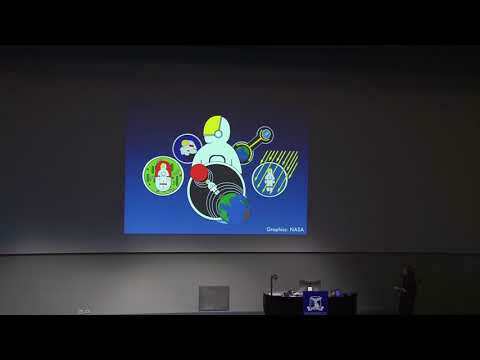 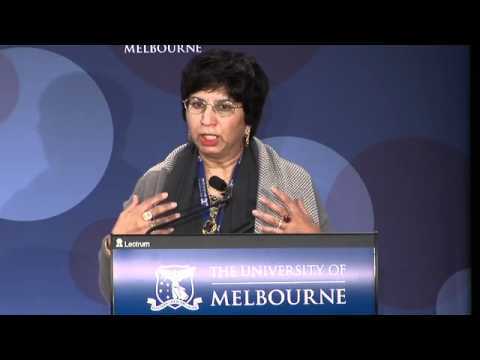 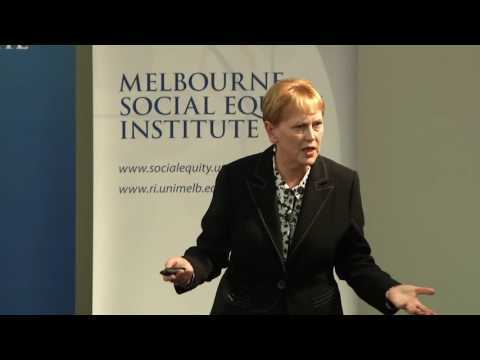 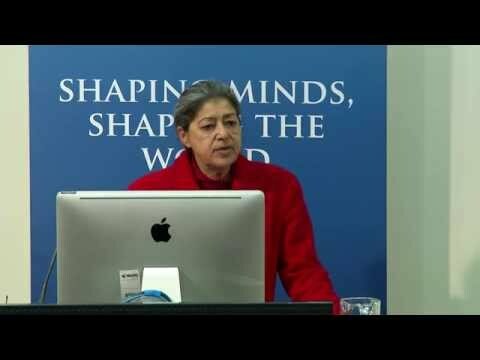 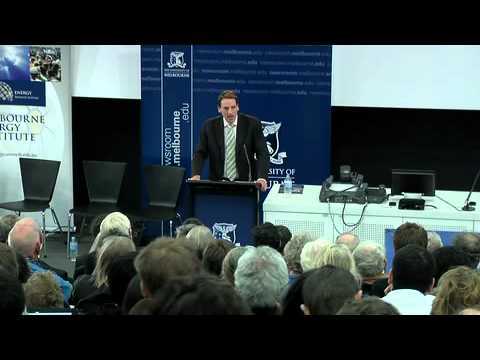 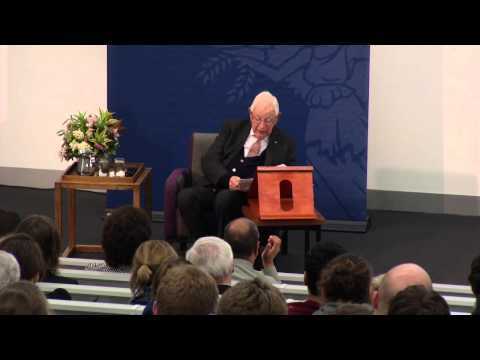 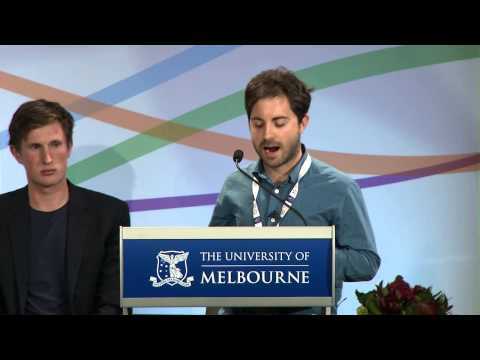 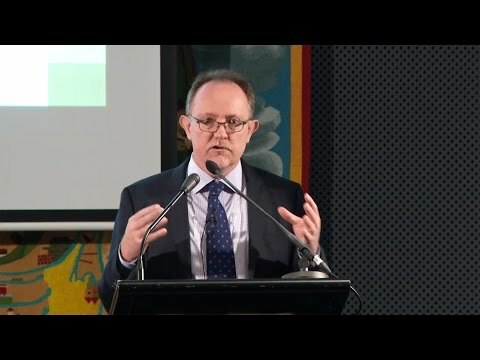 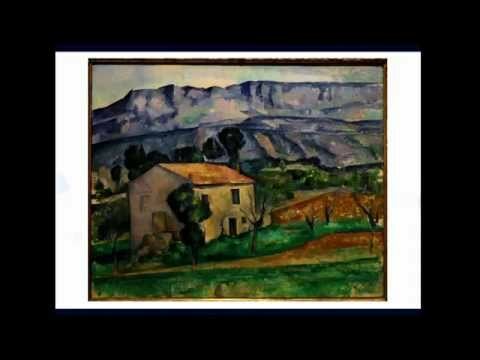 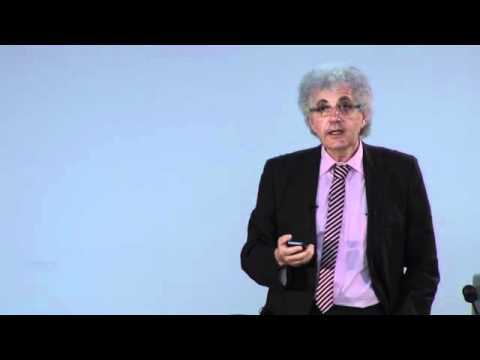 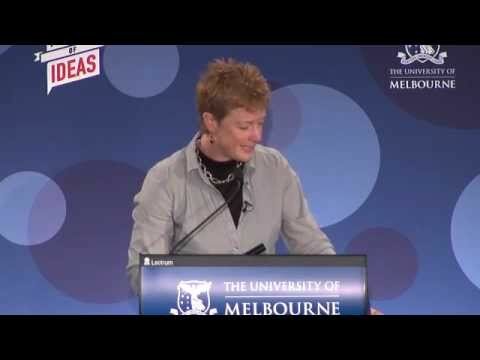 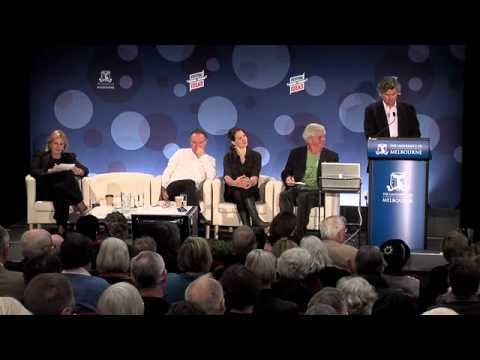 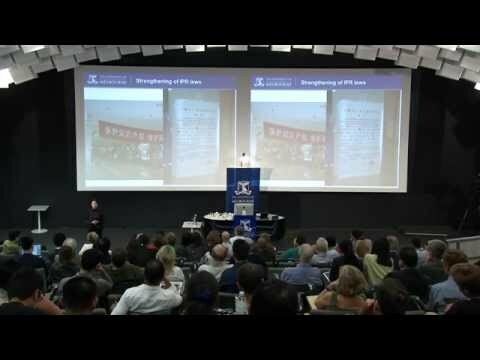 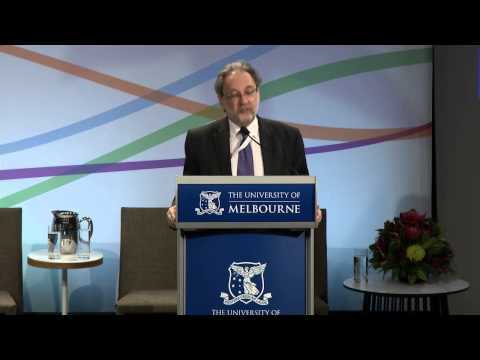 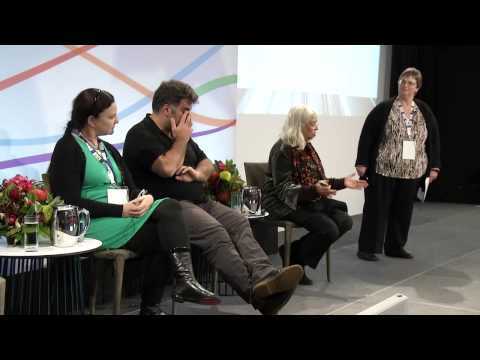 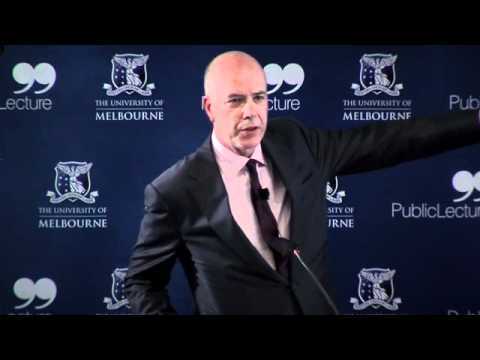 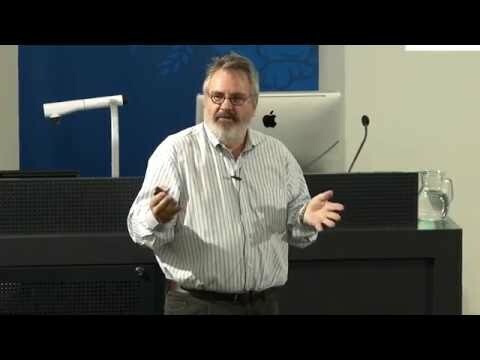 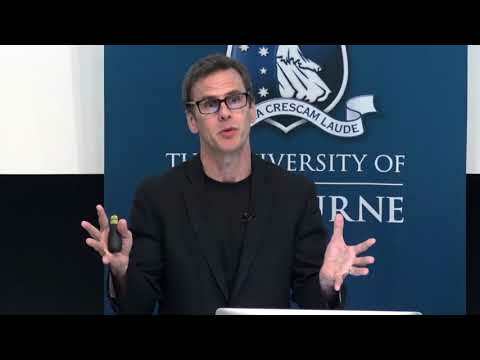 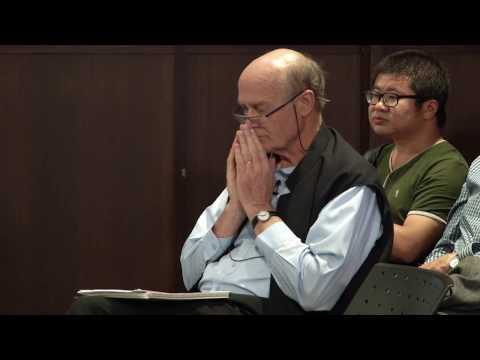 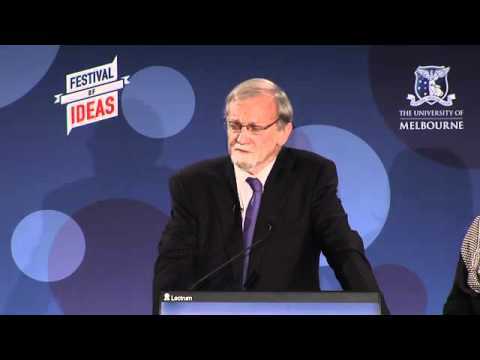 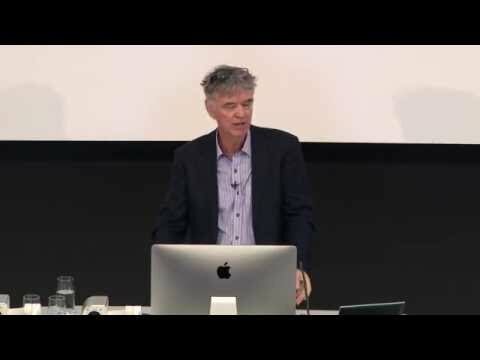 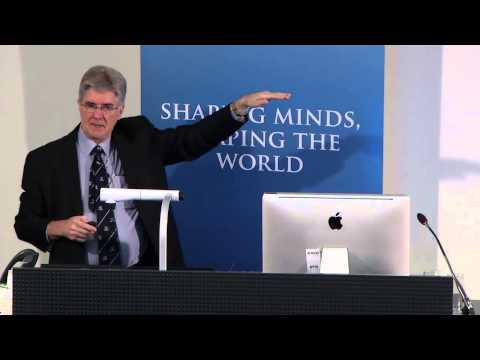 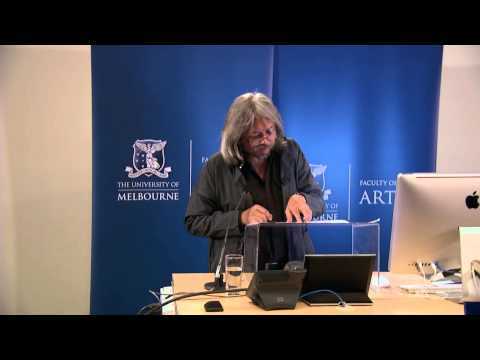 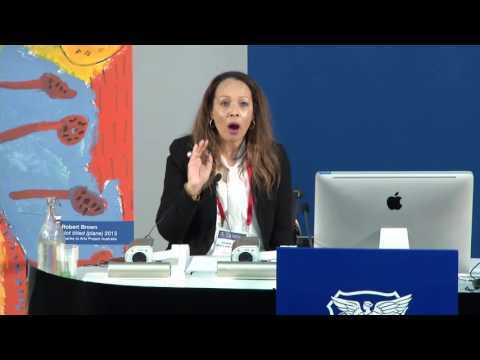 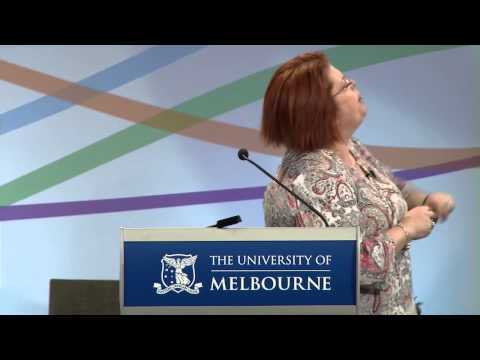 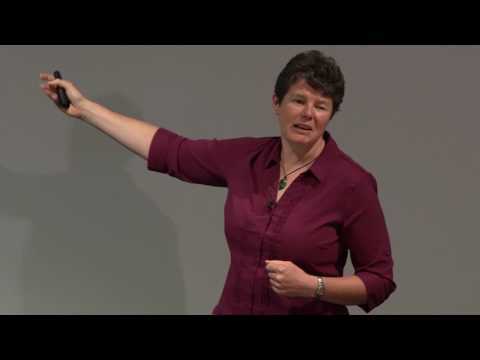 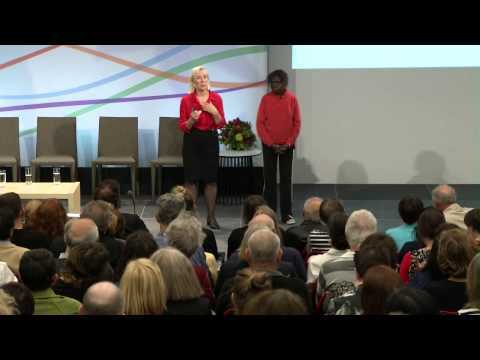 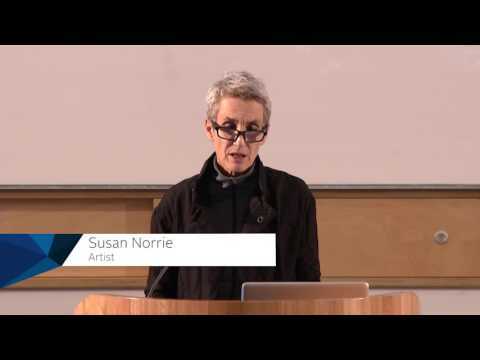 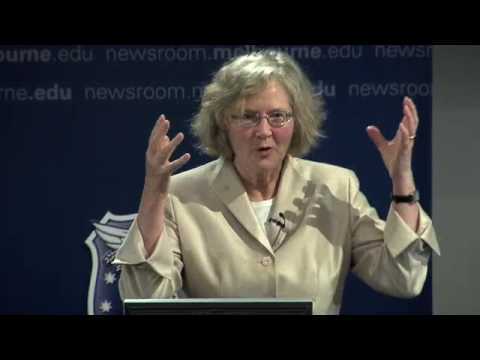 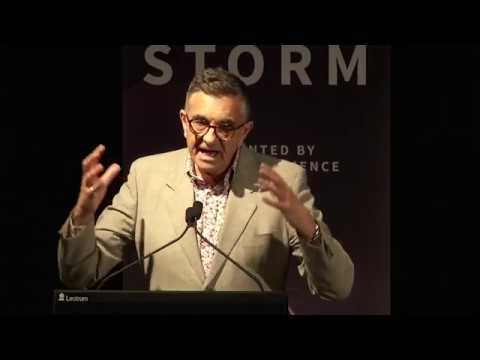 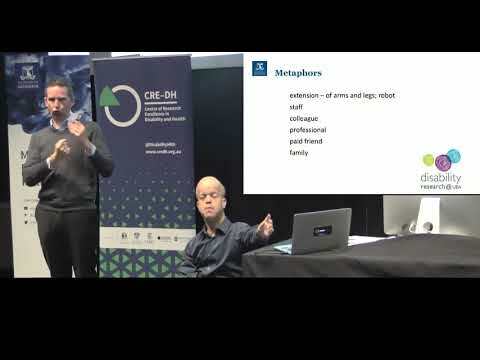 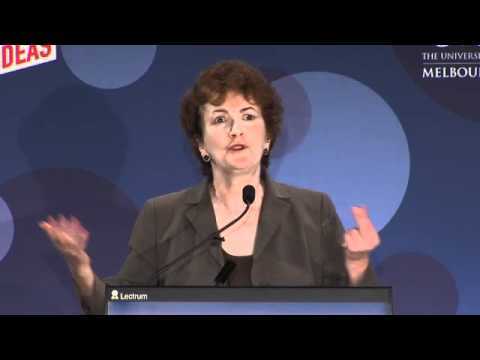 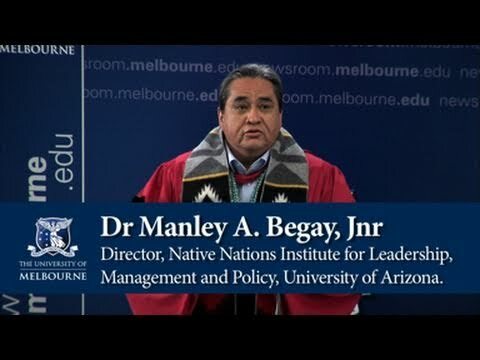 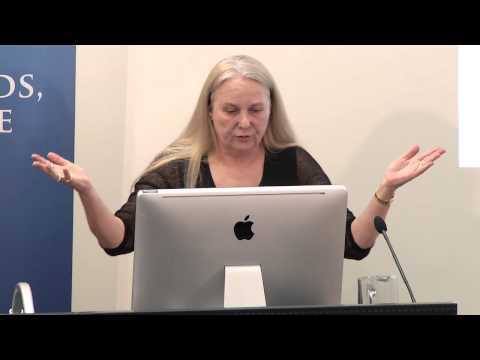 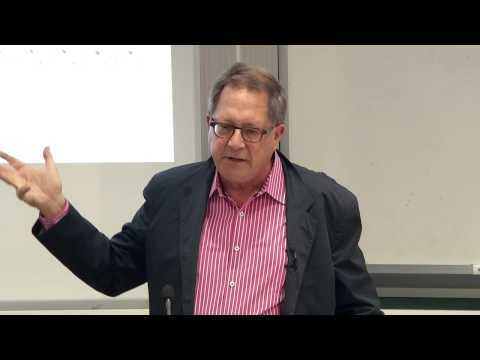 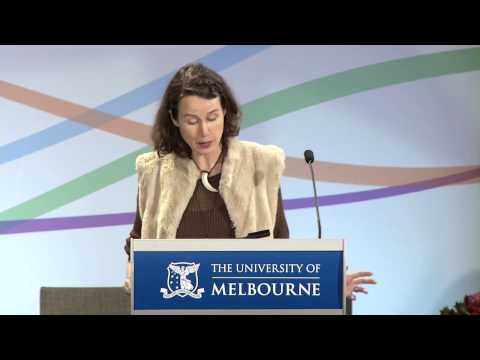 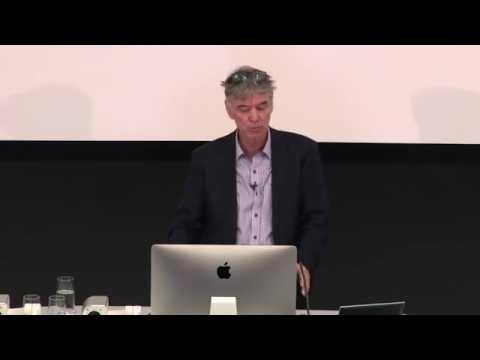 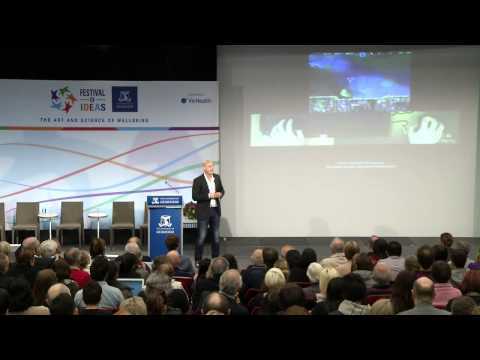 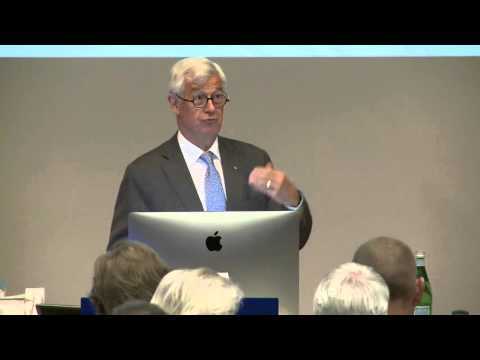 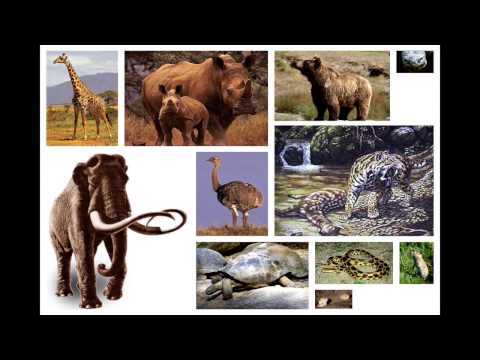 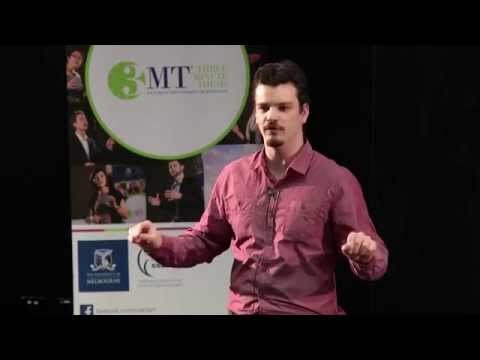 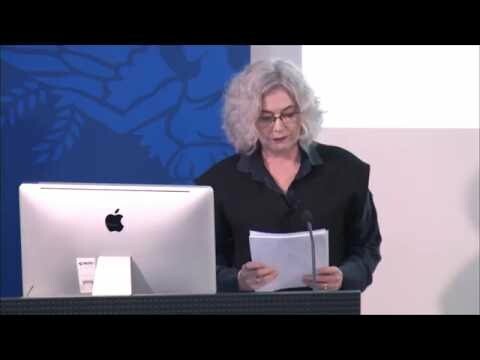 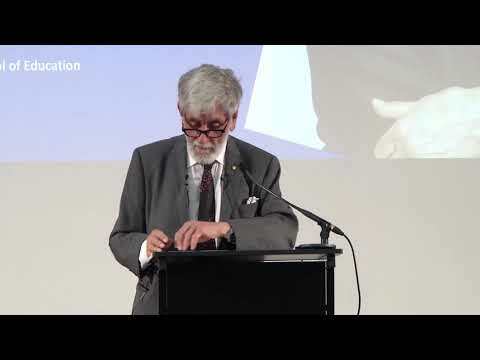 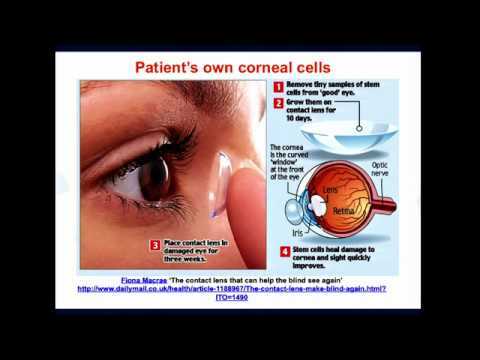 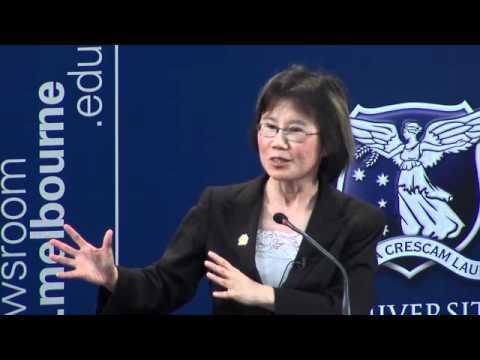 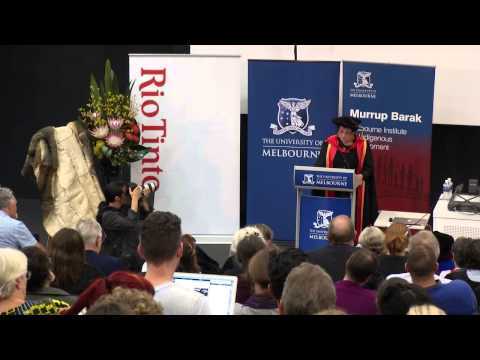 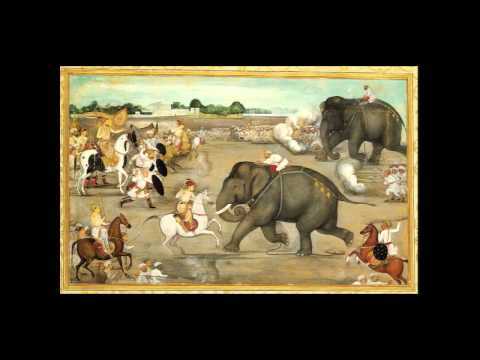 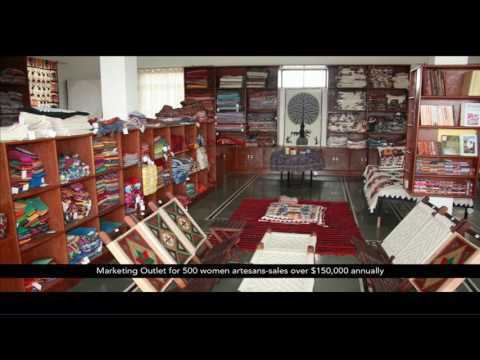 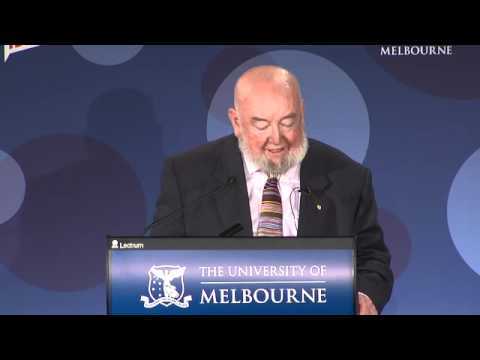 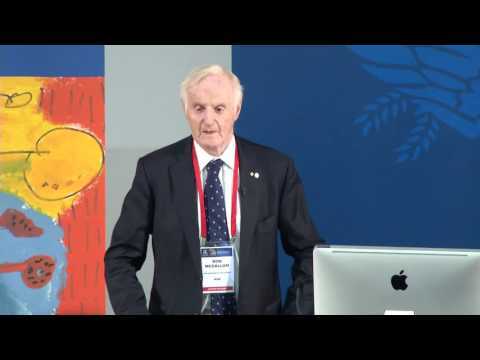 2011 Festival of Ideas - Keynote: Do Landscapes have Identities?